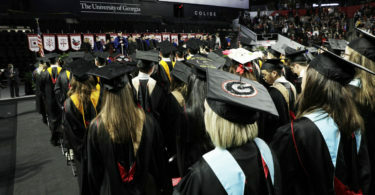 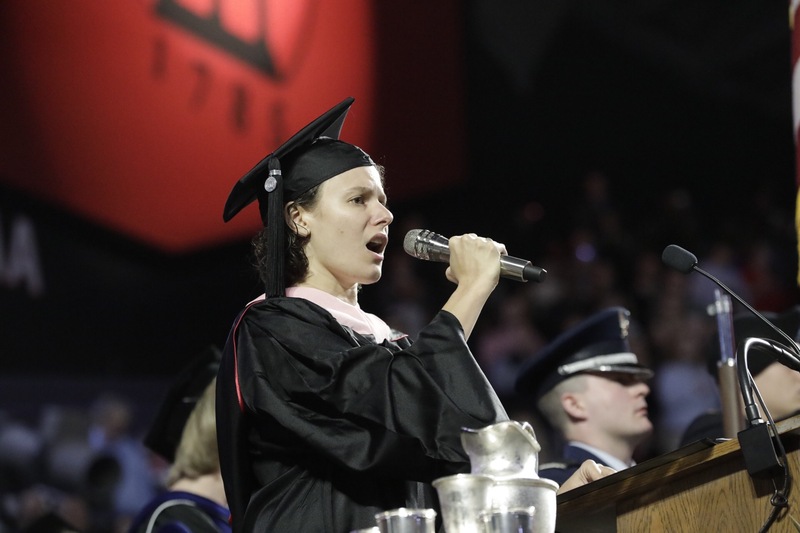 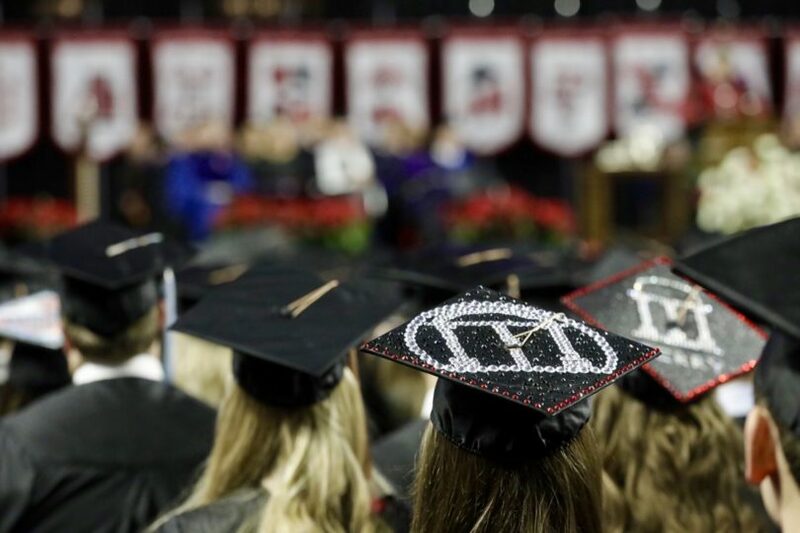 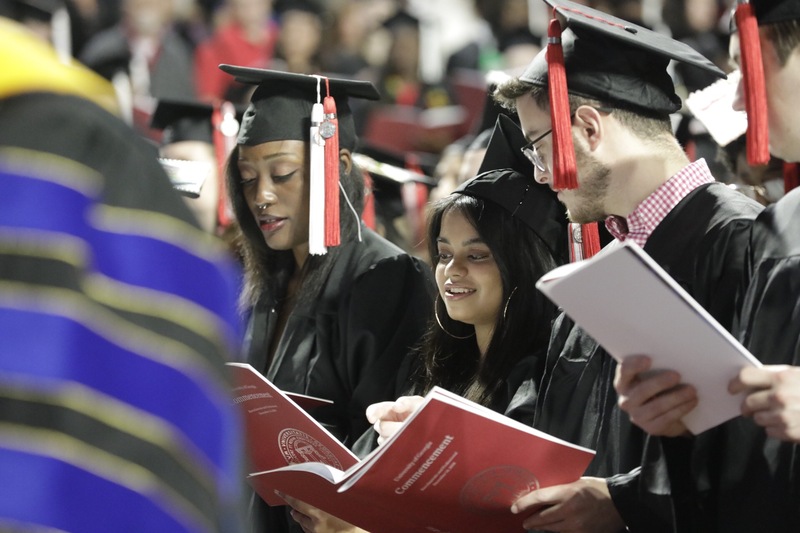 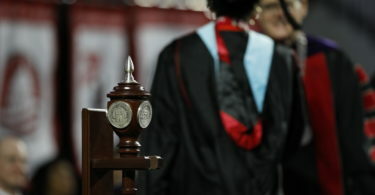 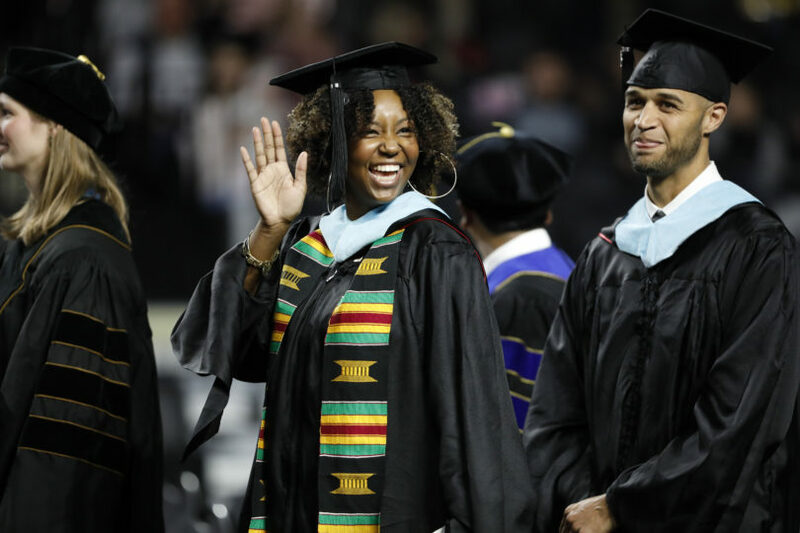 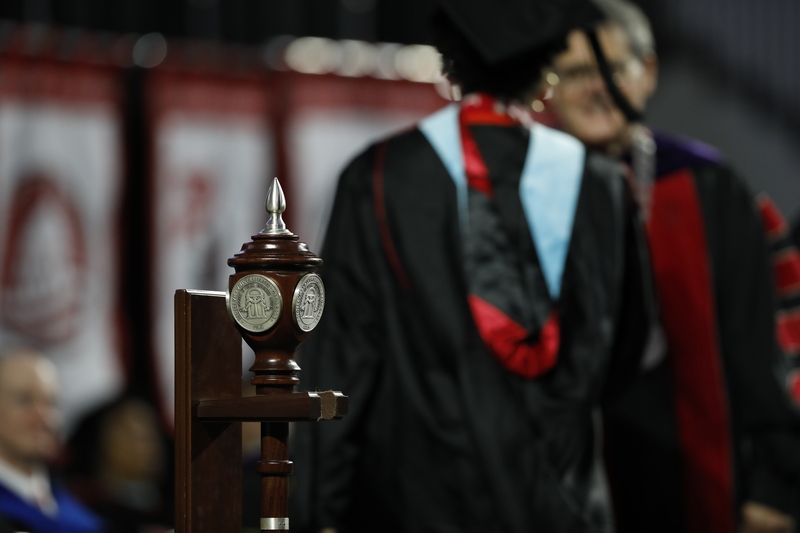 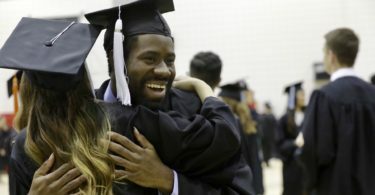 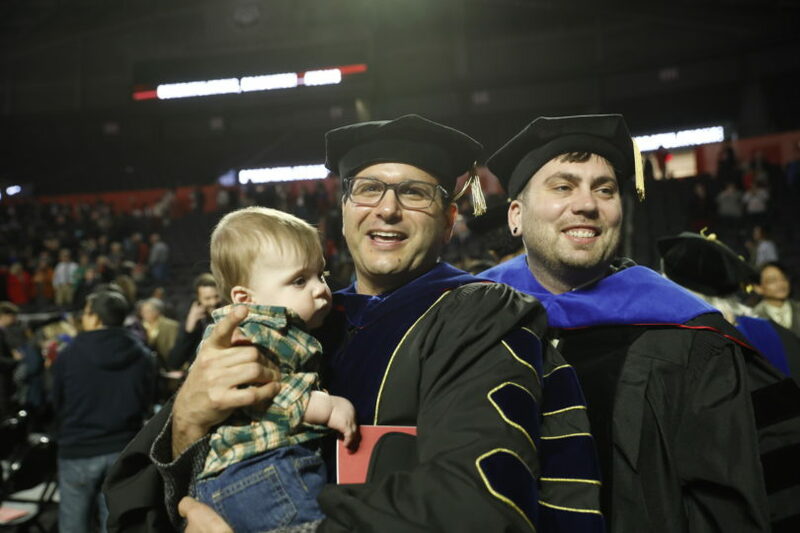 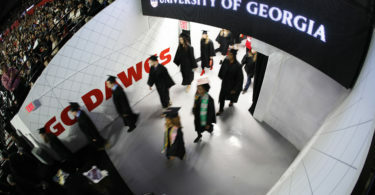 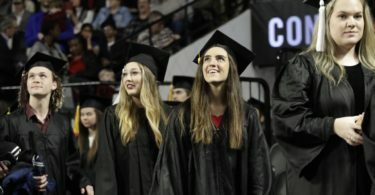 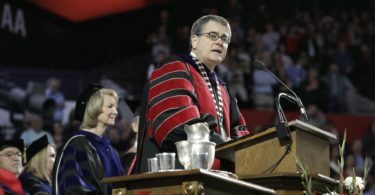 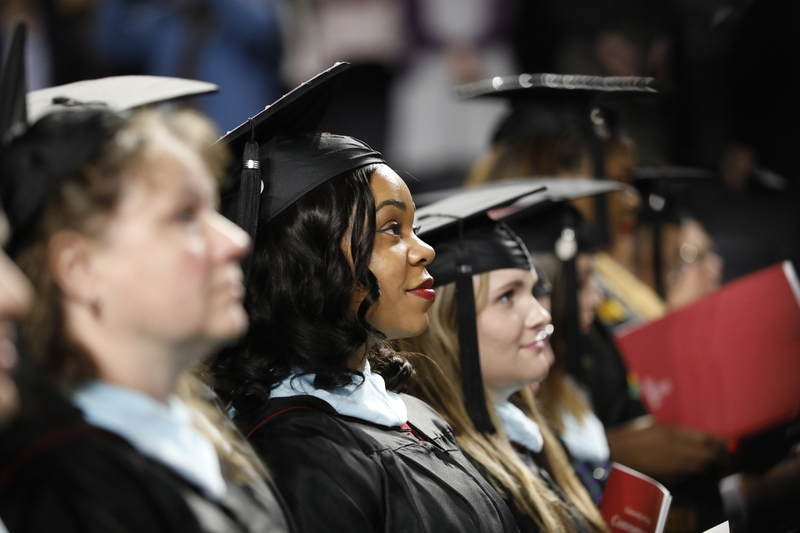 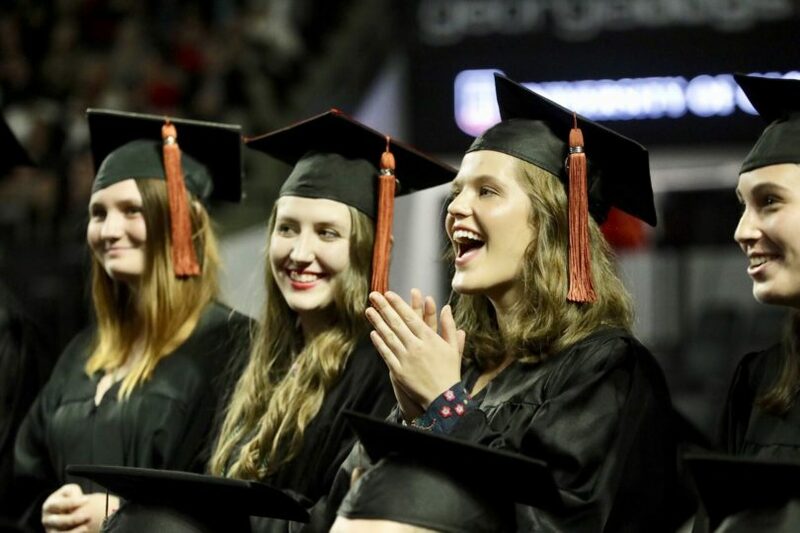 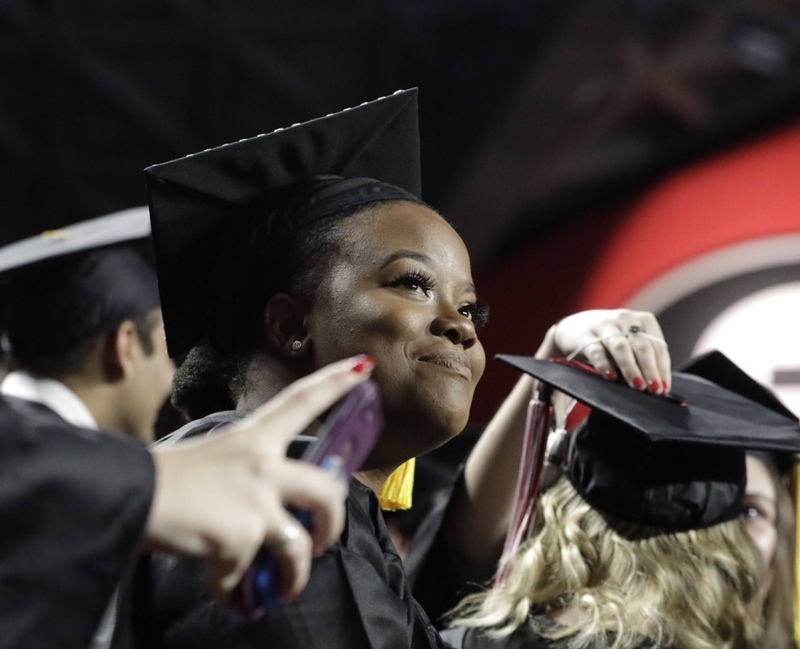 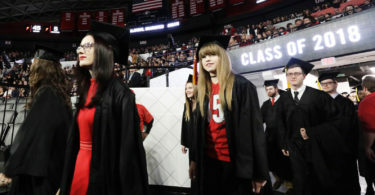 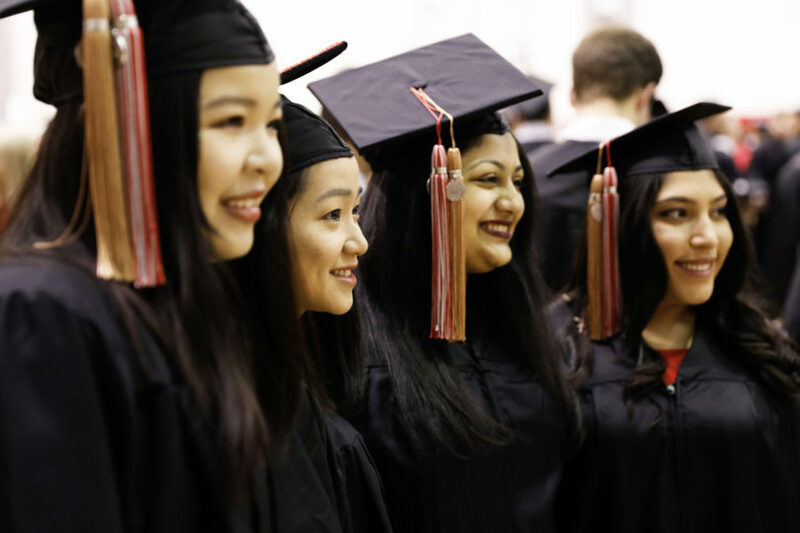 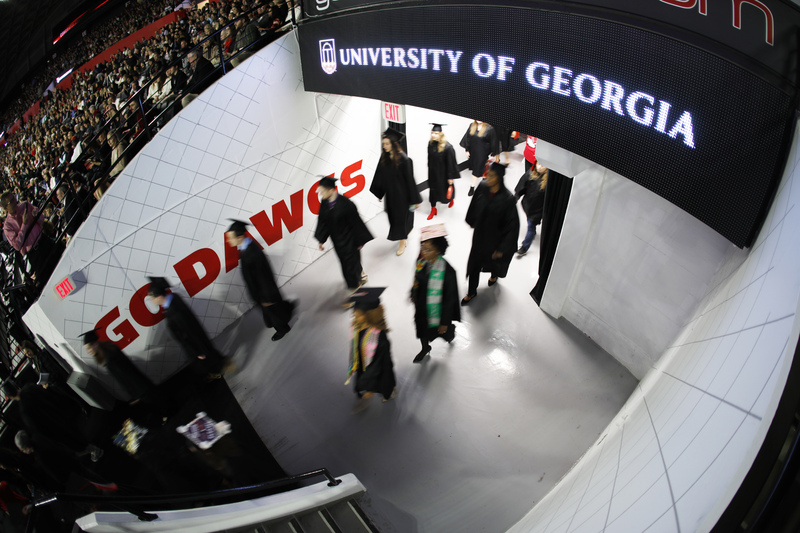 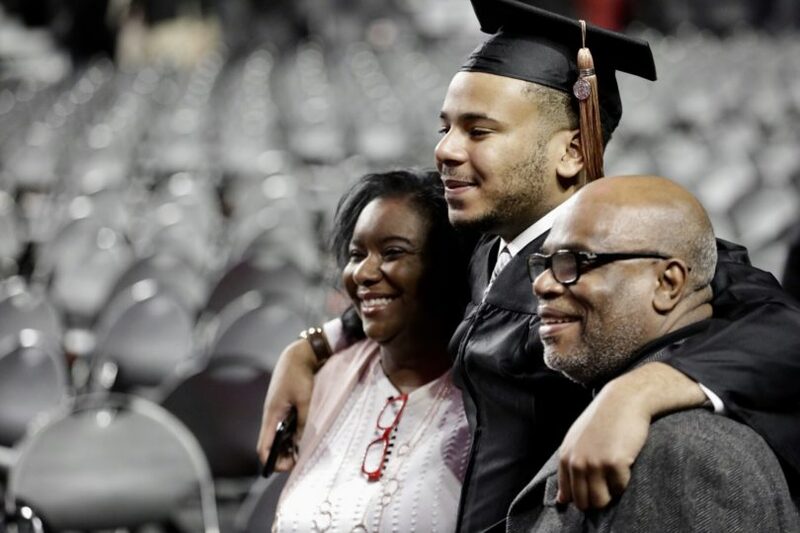 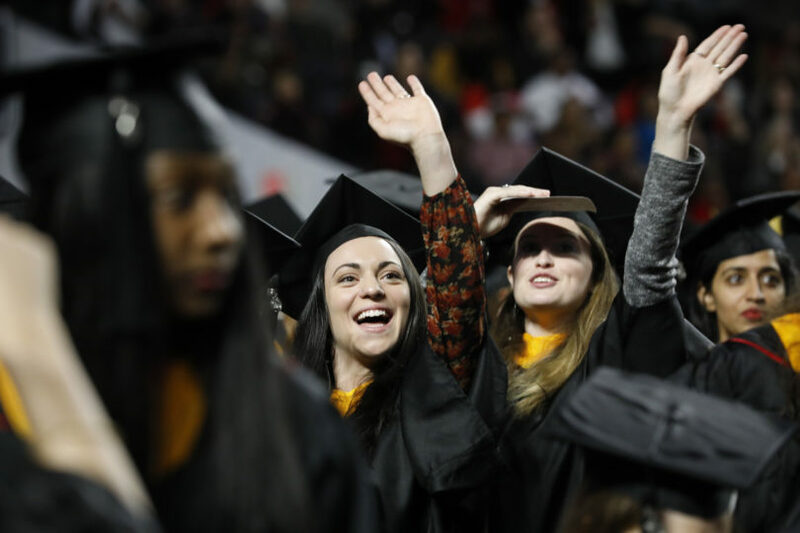 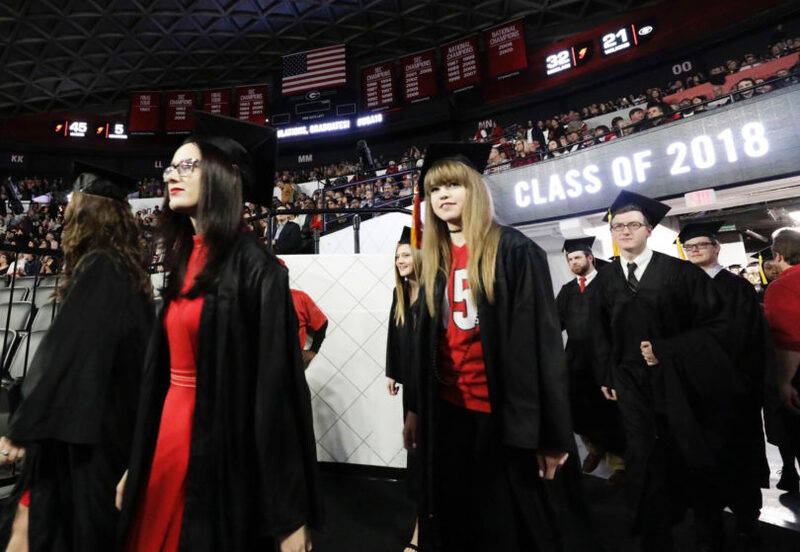 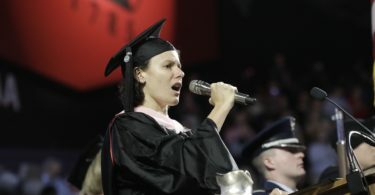 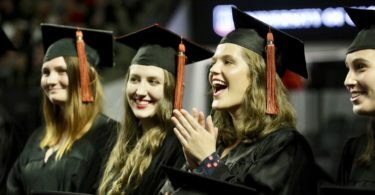 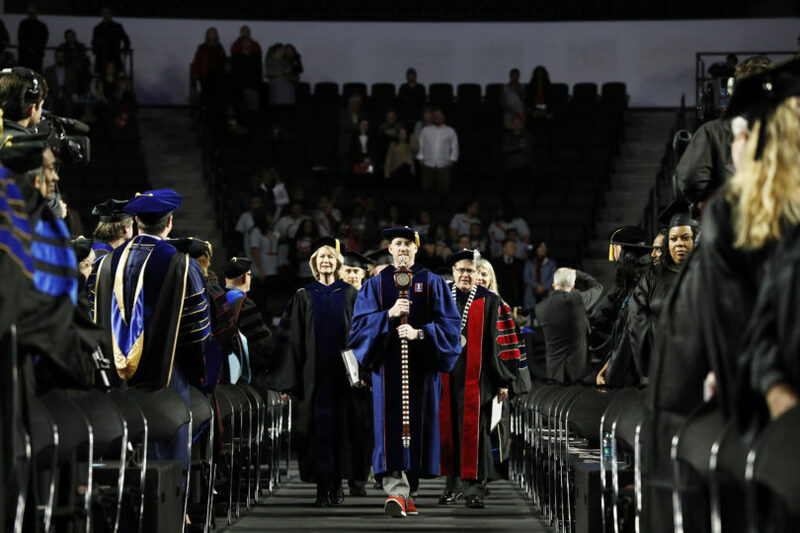 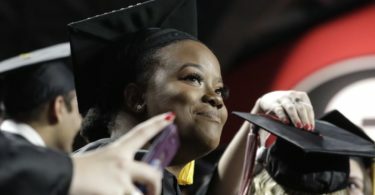 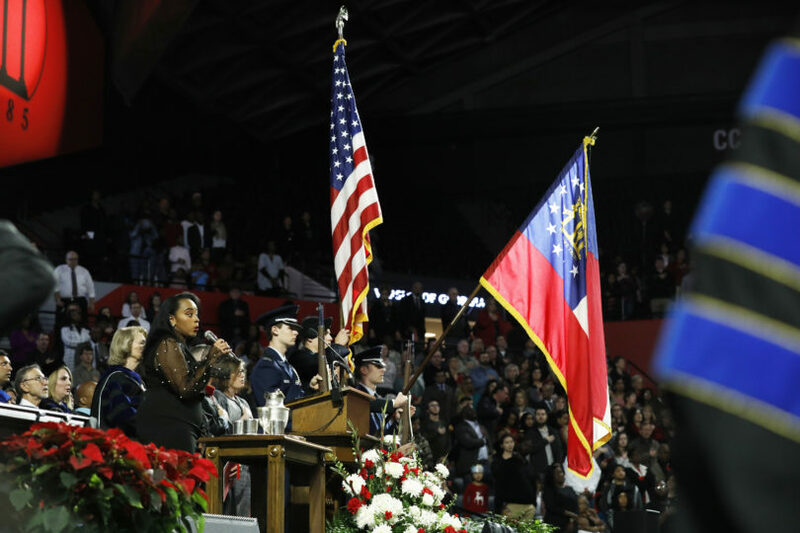 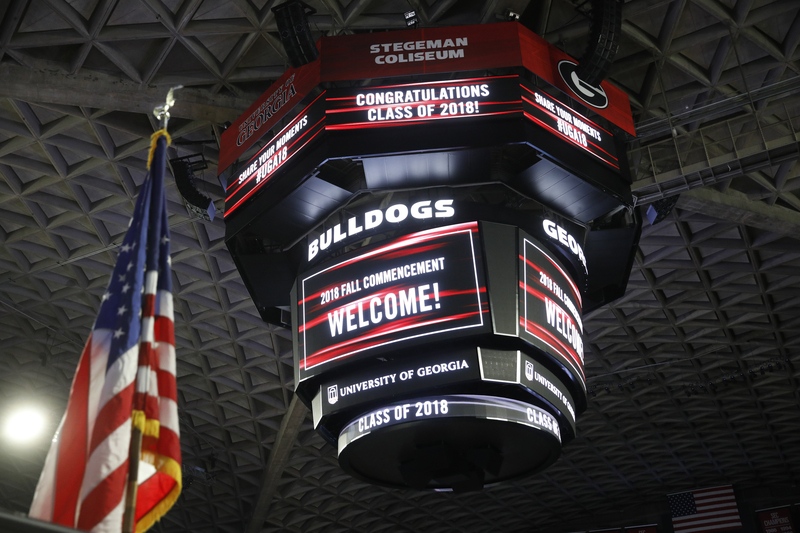 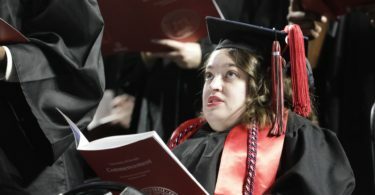 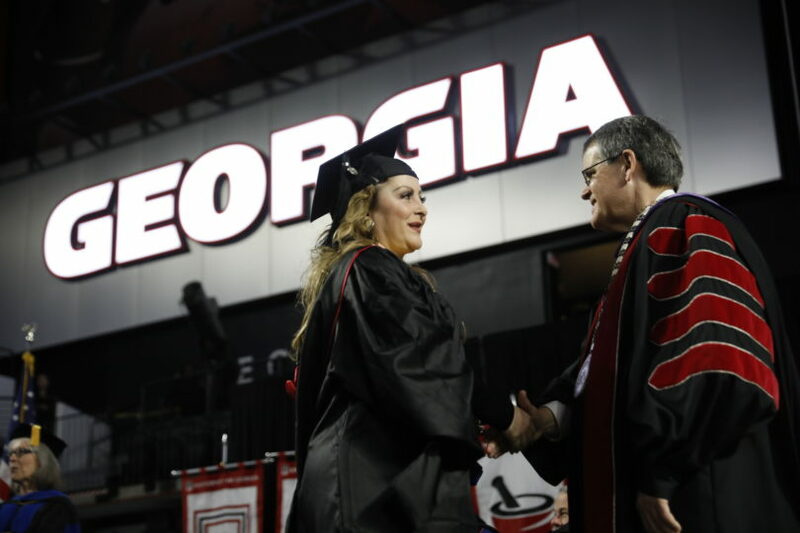 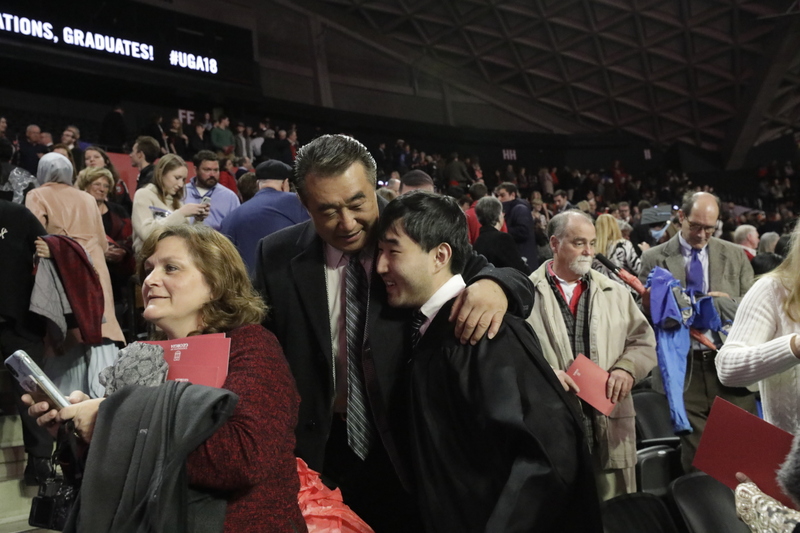 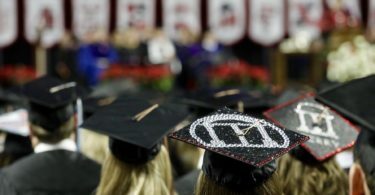 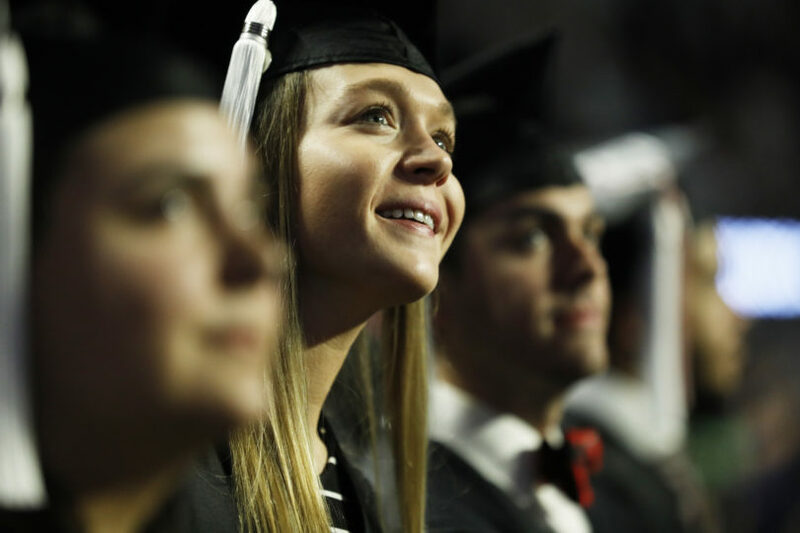 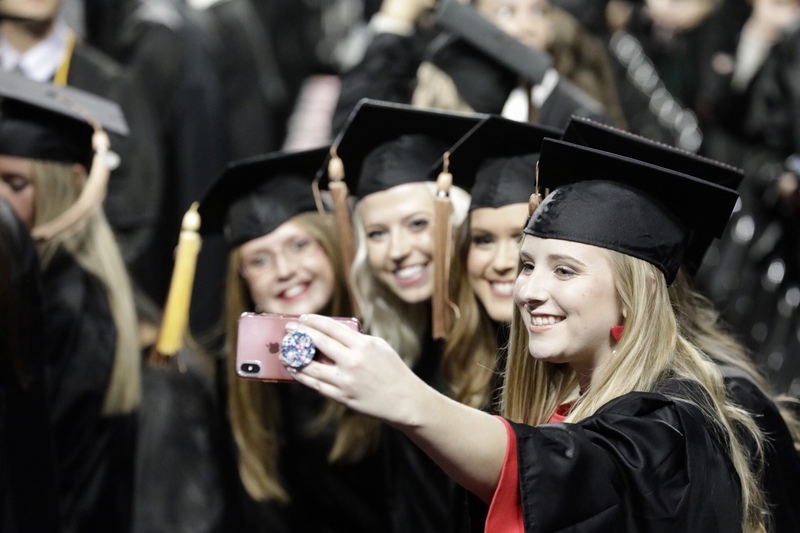 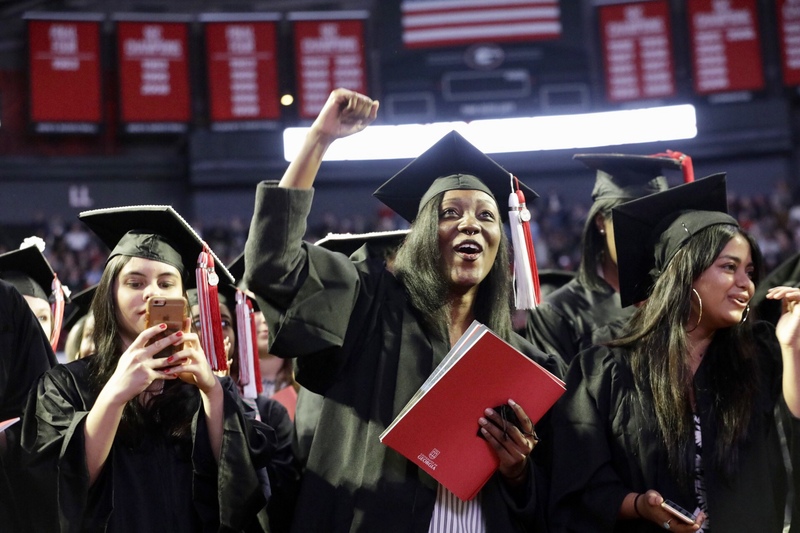 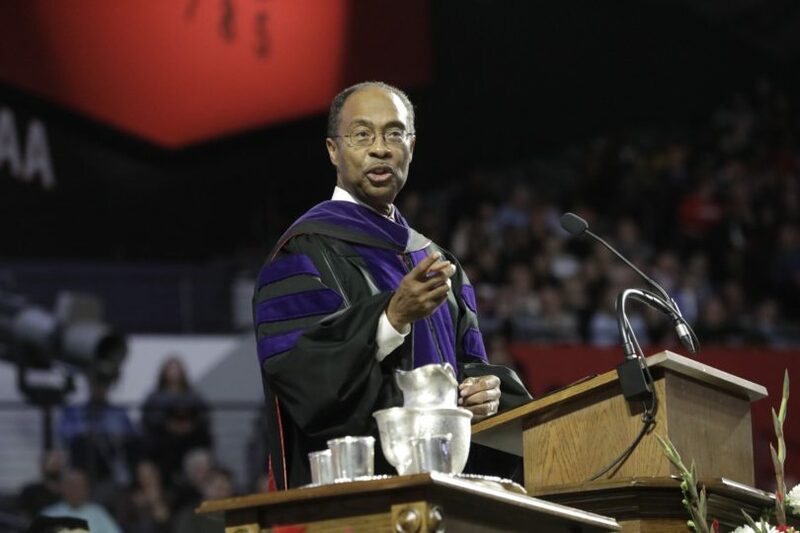 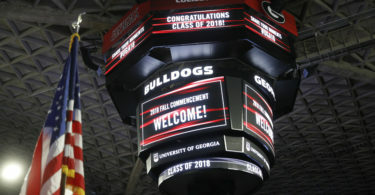 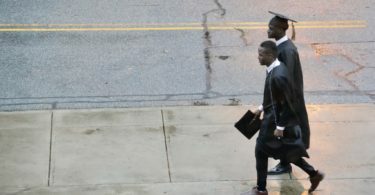 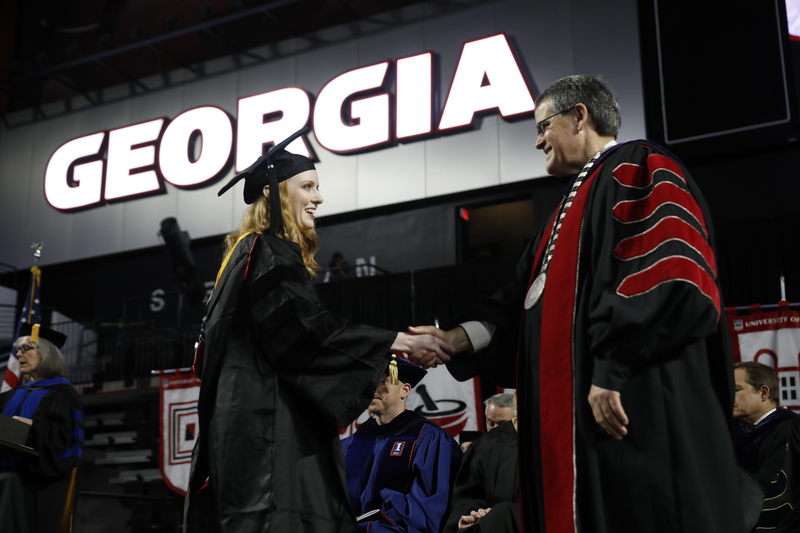 Lessons learned both inside and outside the classroom are an important part of higher education, and three speakers shared their own during the University of Georgia’s fall 2018 Commencement ceremonies, held Dec. 14. 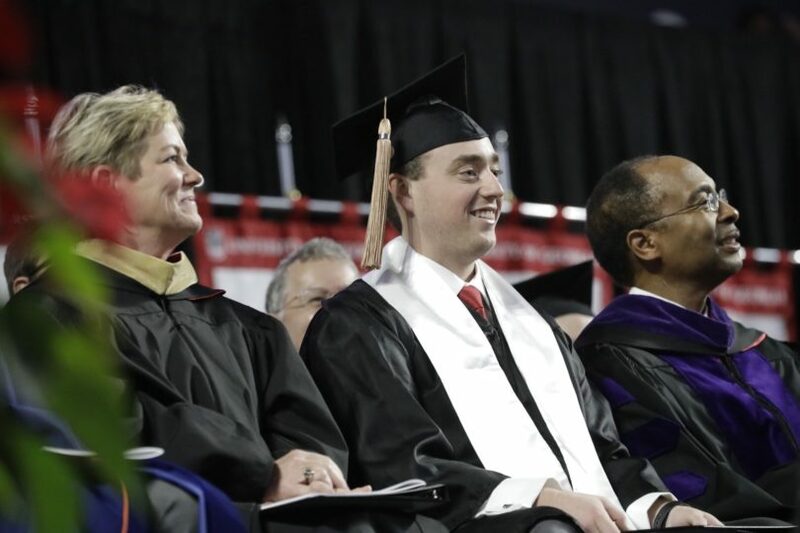 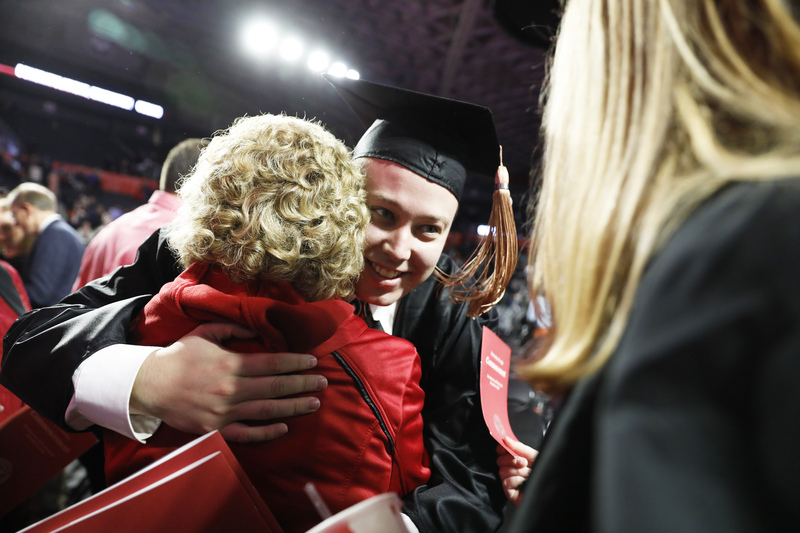 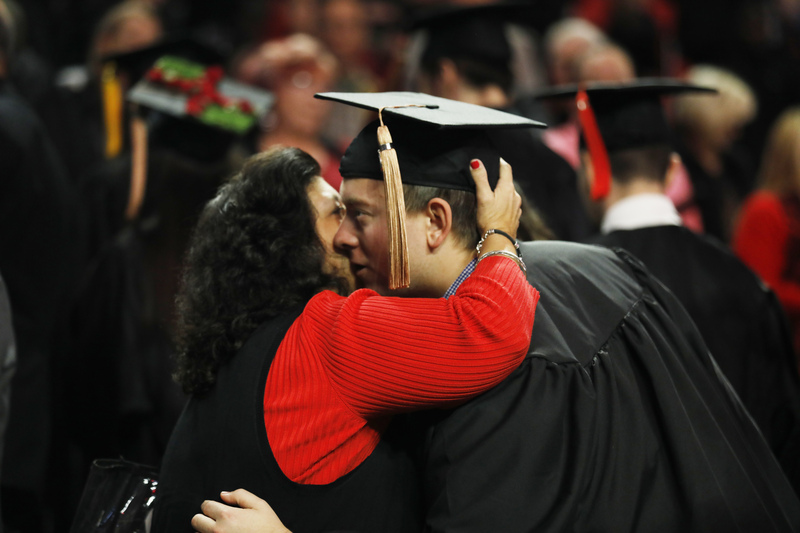 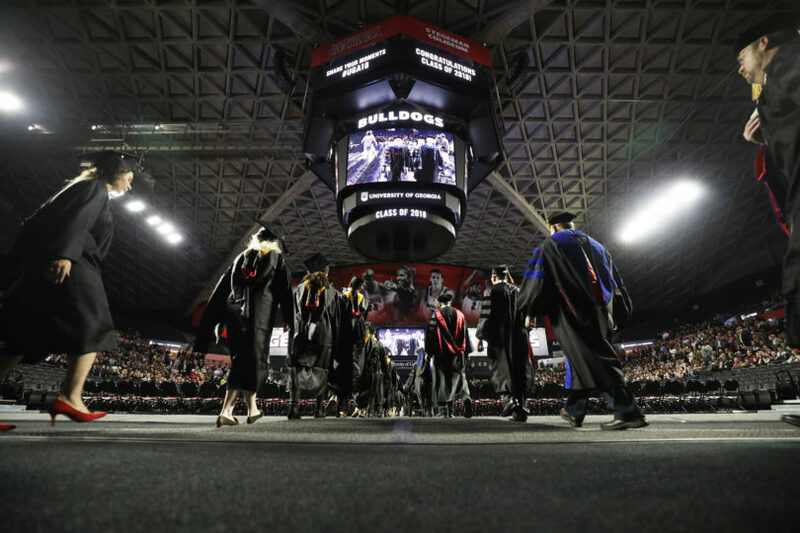 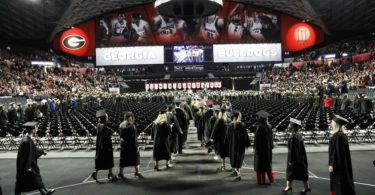 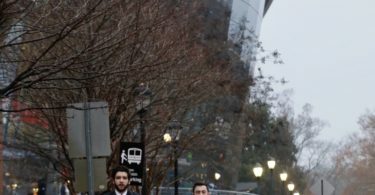 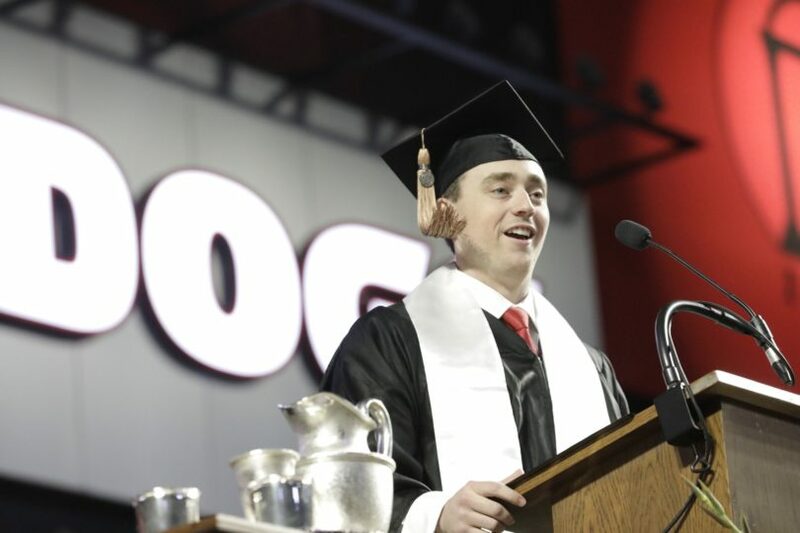 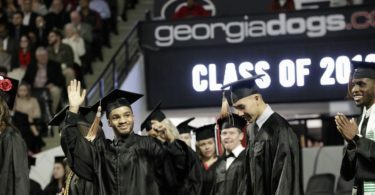 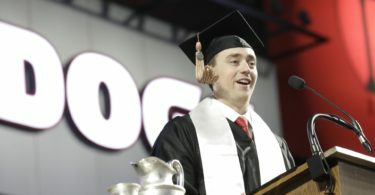 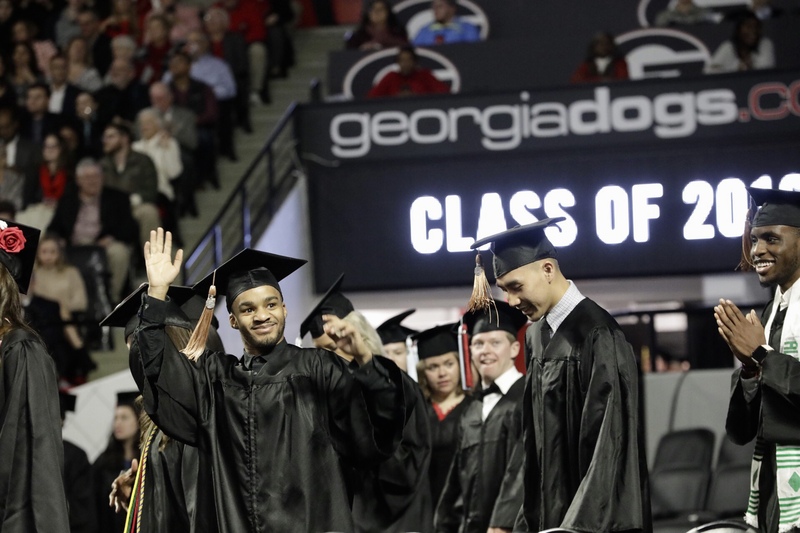 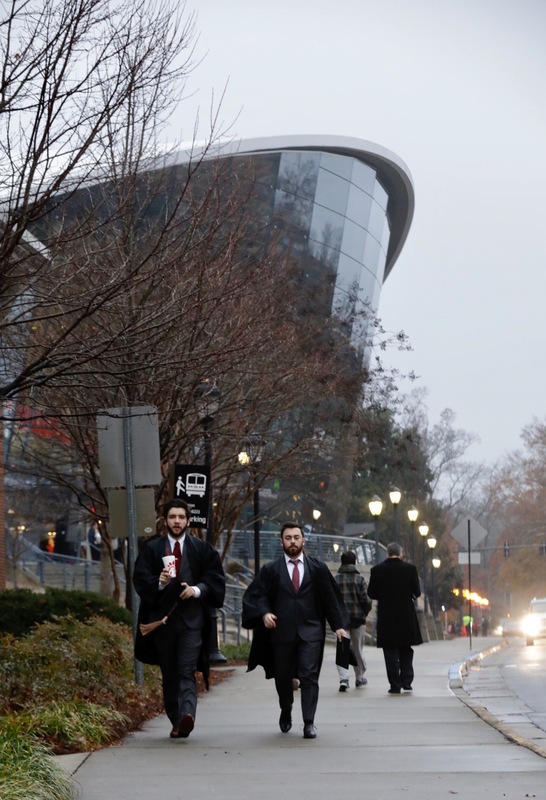 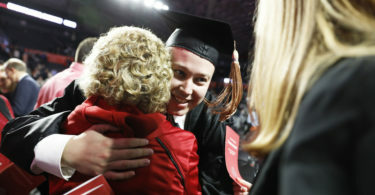 For Chandler Chittom, who received his bachelor’s degree in marketing and served as the student speaker for the undergraduate ceremony, some of those lessons were learned behind a mask as Hairy Dawg, the UGA Athletics mascot. 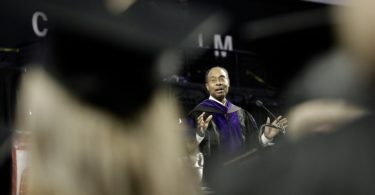 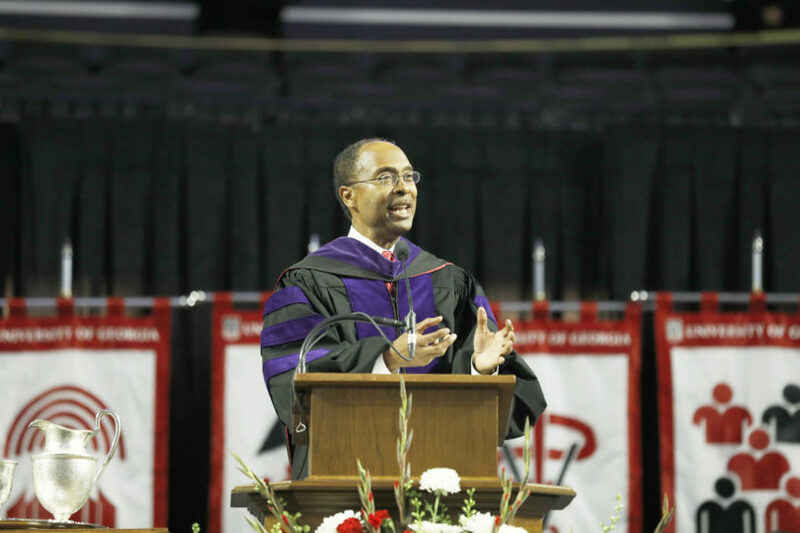 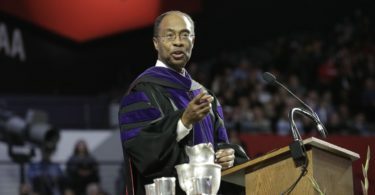 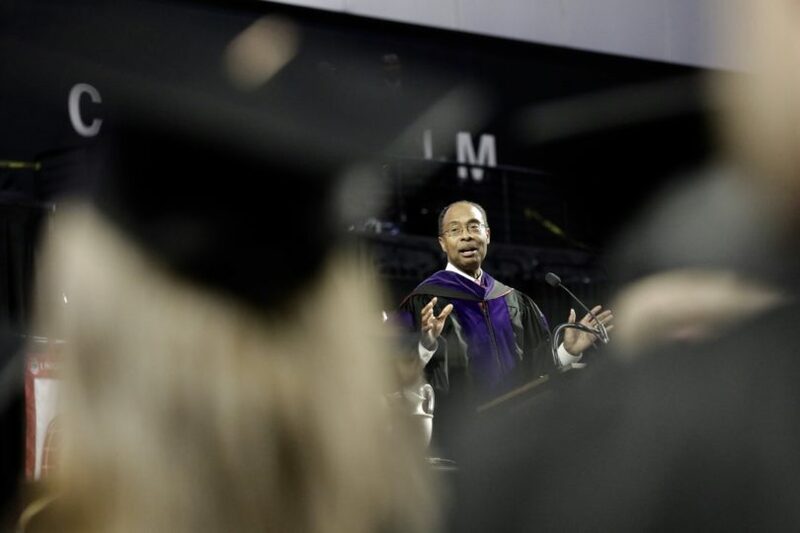 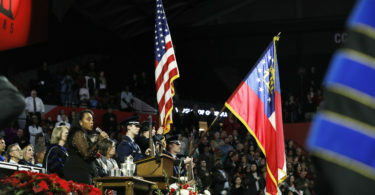 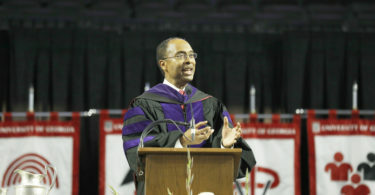 The Honorable Steve C. Jones, United States district judge of the Northern District of Georgia, continued on that theme during his keynote address at the undergraduate Commencement ceremony. 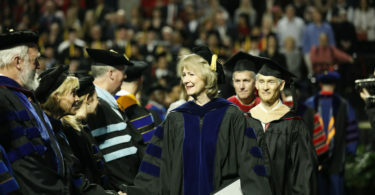 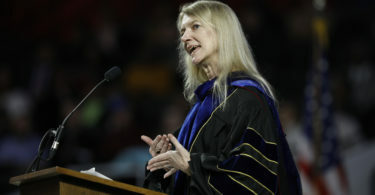 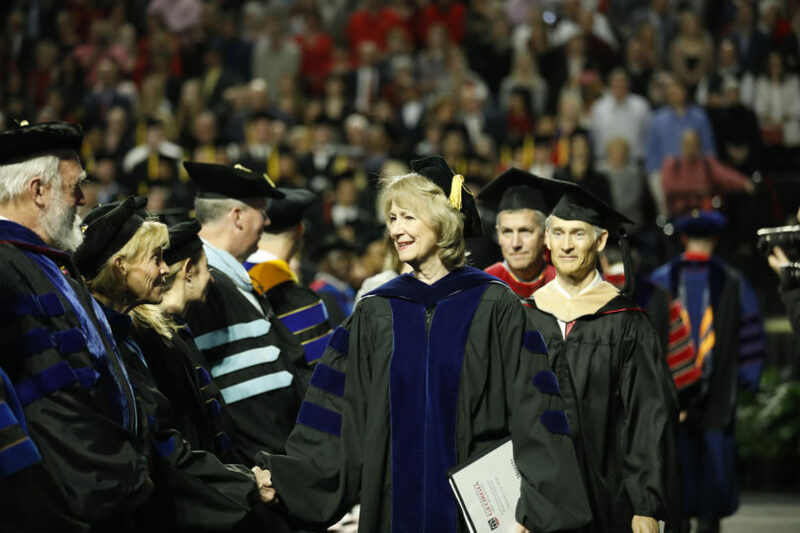 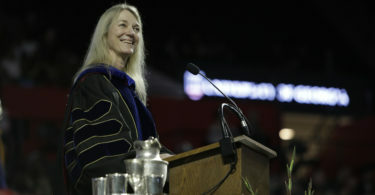 Internationally recognized neurobiologist and geneticist Dr. Cori Bargmann spoke about the importance of sharing those lessons during her Commencement address at the graduate ceremony. 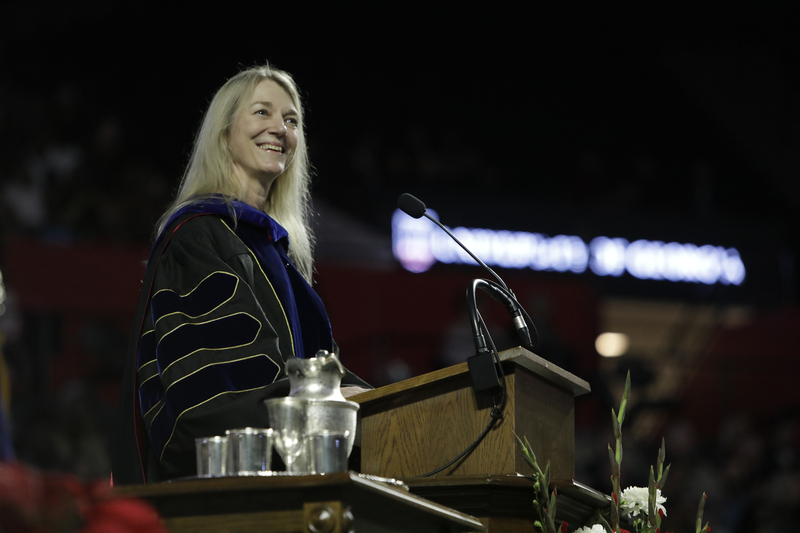 Bargmann, a UGA alumna, shares her own lessons and research as the Torsten N. Wiesel Professor at Rockefeller University and director of the Lulu and Anthony Wang Laboratory of Neural Circuits and Behavior. 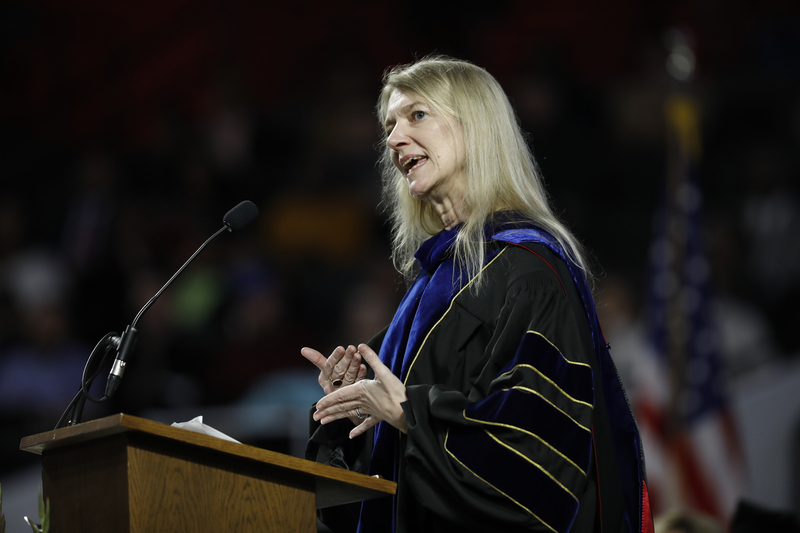 In 2016, she joined the Chan Zuckerberg Initiative as its first president of science, a role in which she oversees the development and execution of the scientific work of the initiative. 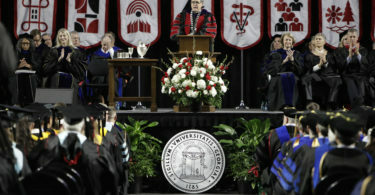 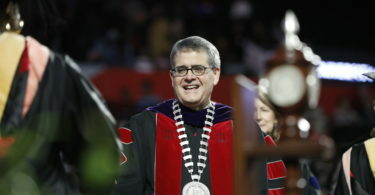 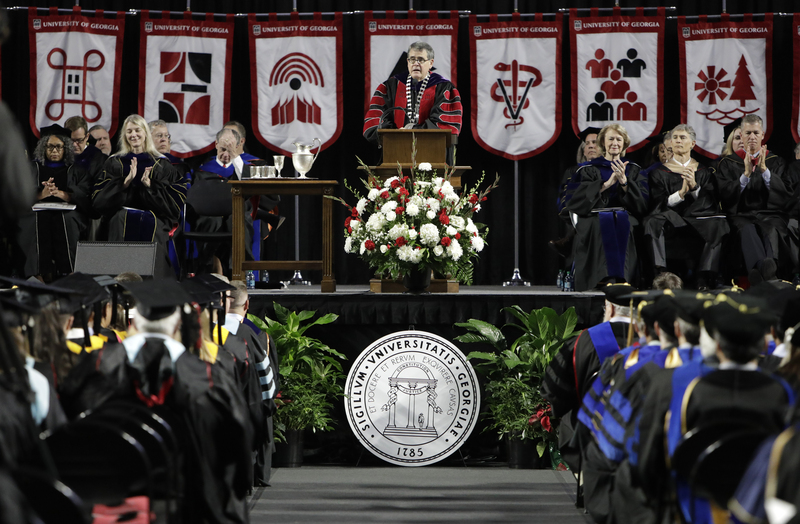 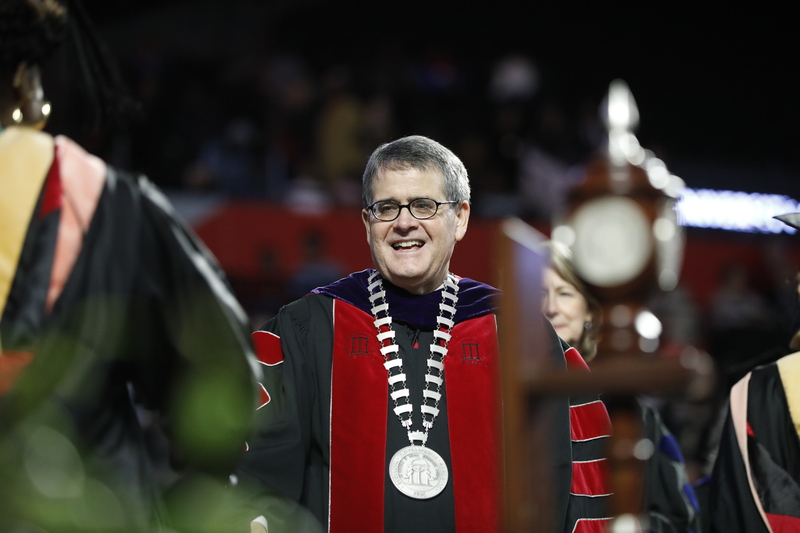 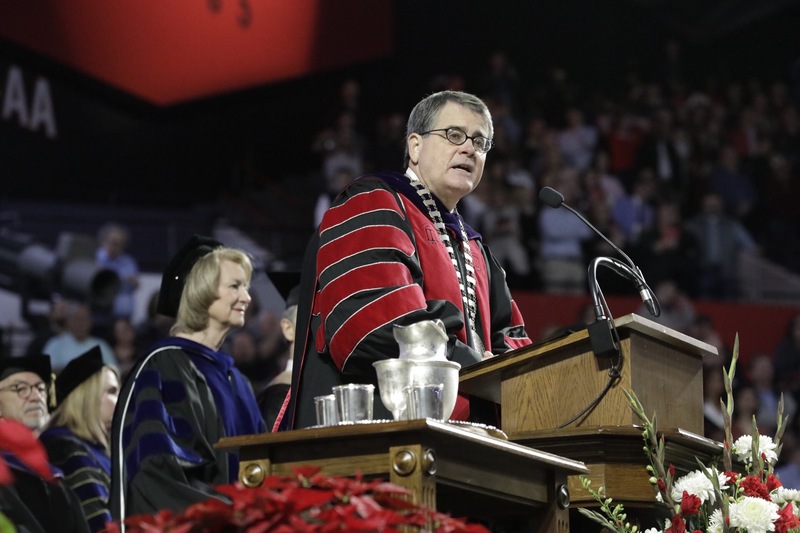 President Jere W. Morehead congratulated and welcomed the 2,799 graduates as the university’s newest alumni and spoke about how they can use the lessons they’ve learned. 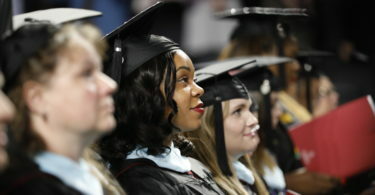 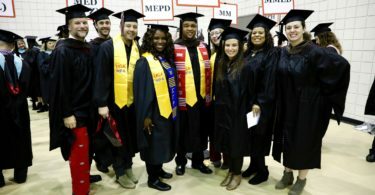 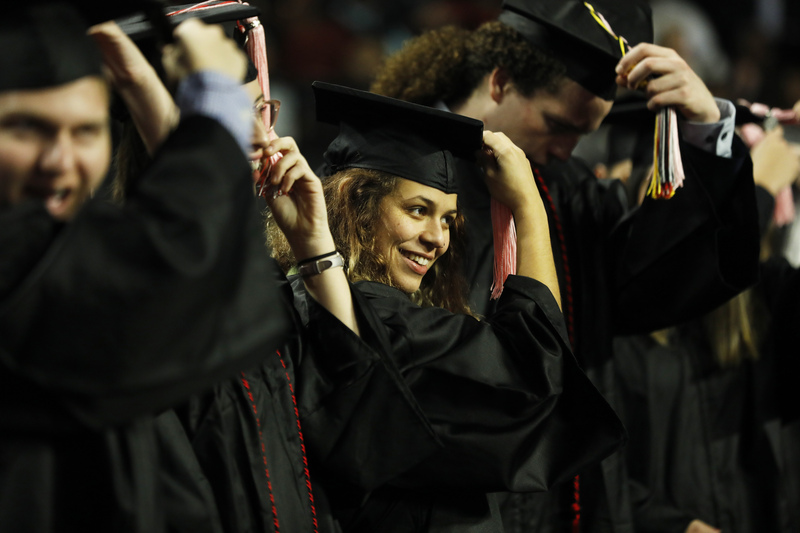 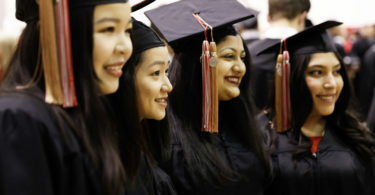 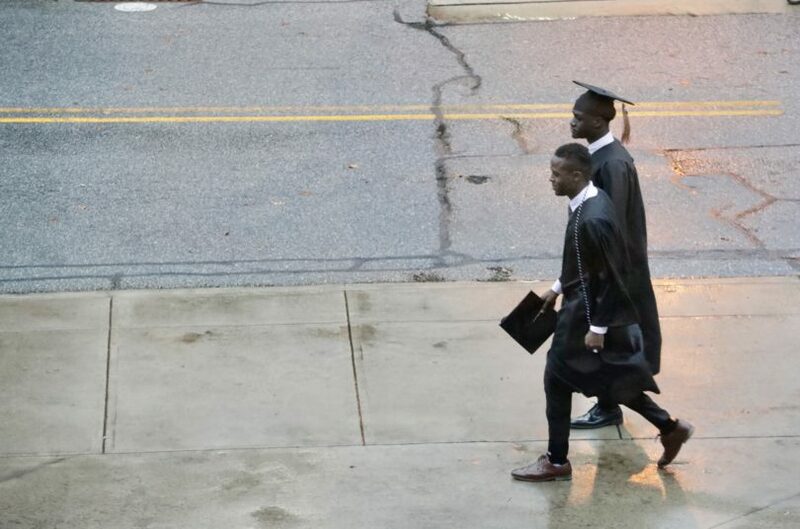 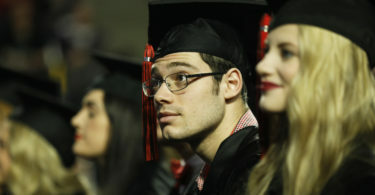 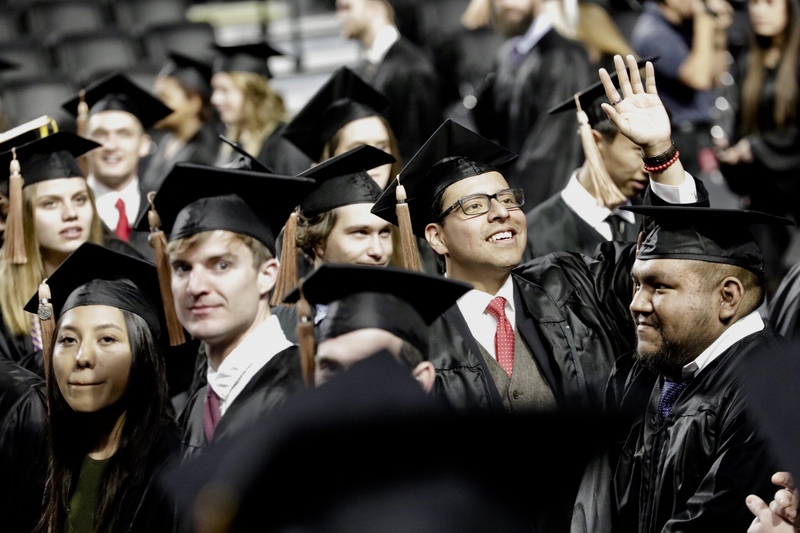 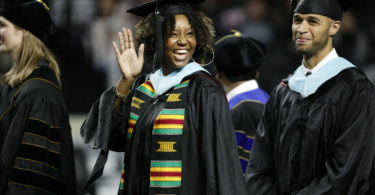 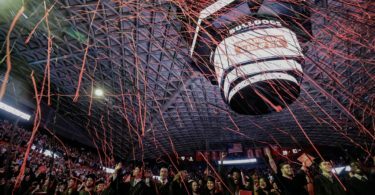 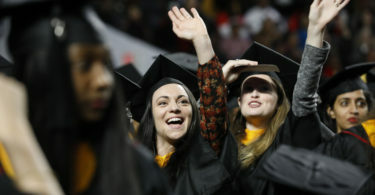 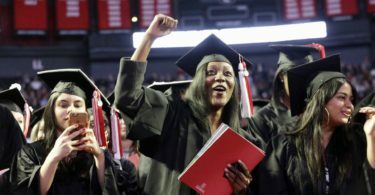 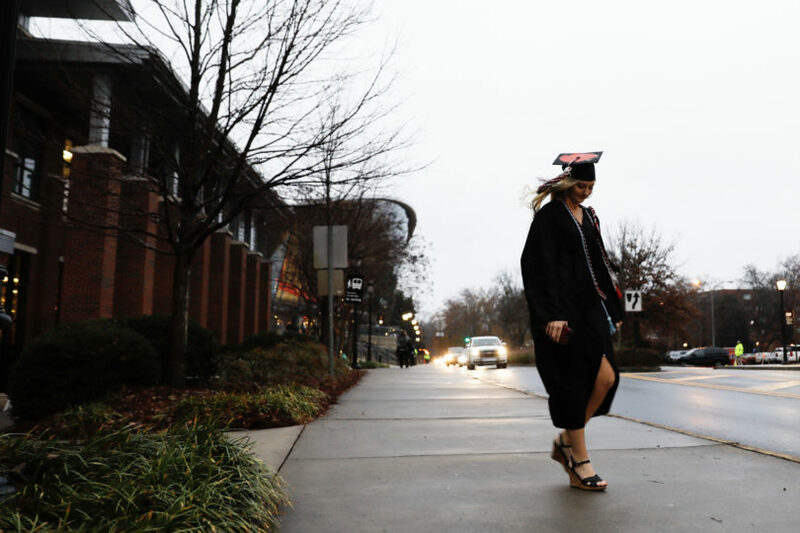 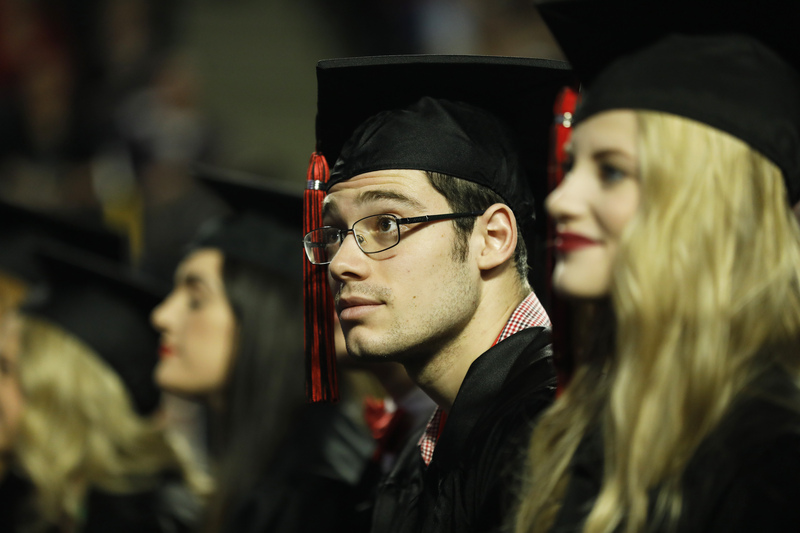 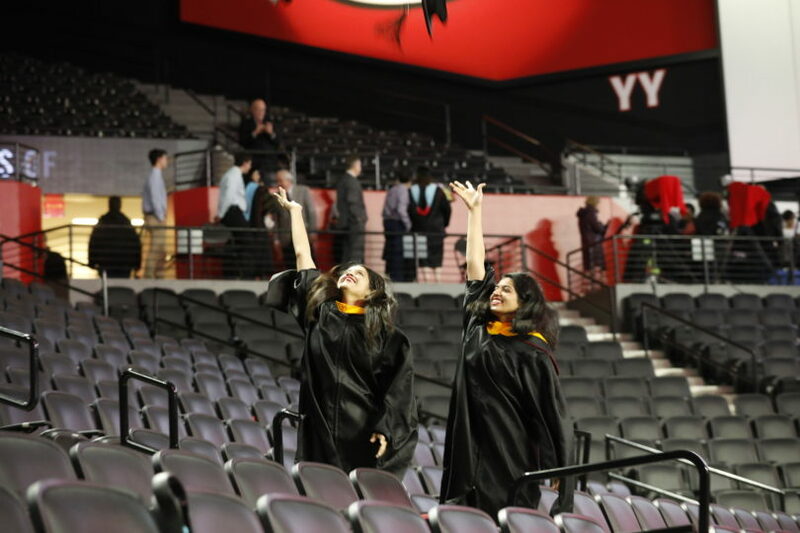 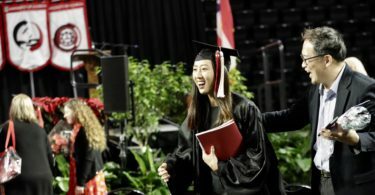 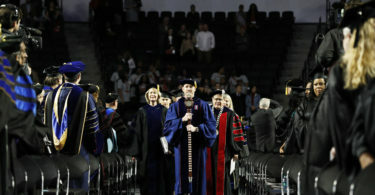 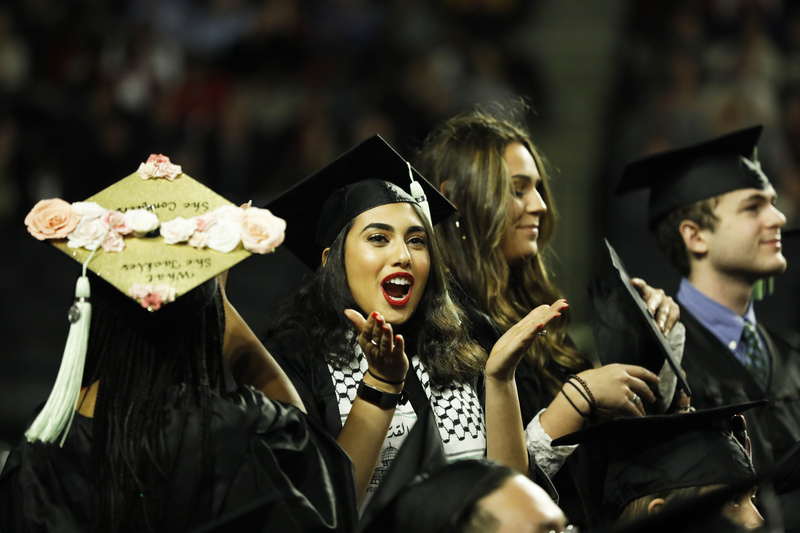 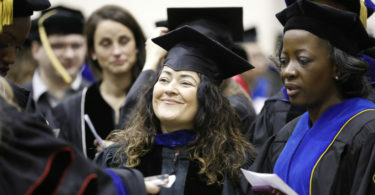 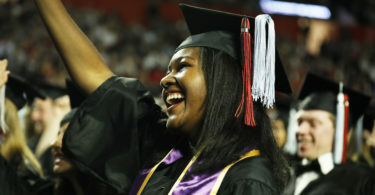 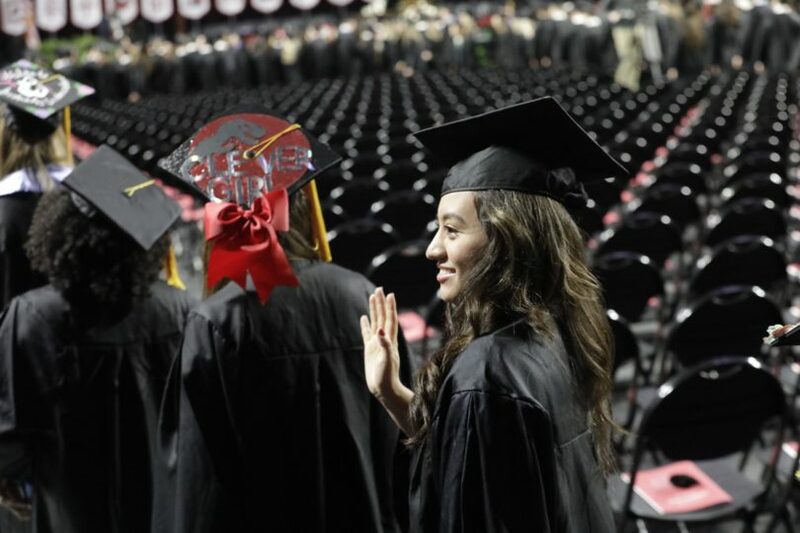 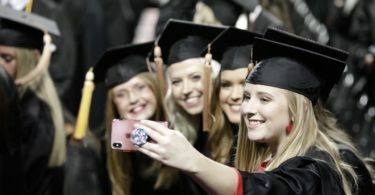 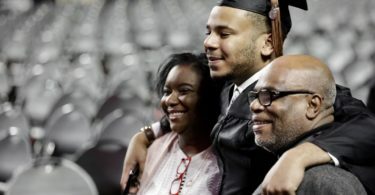 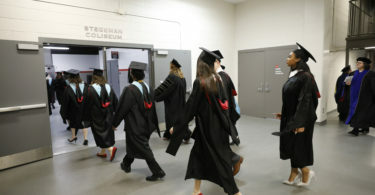 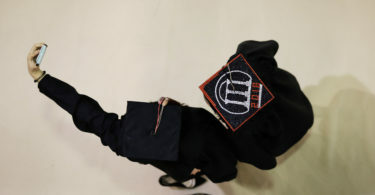 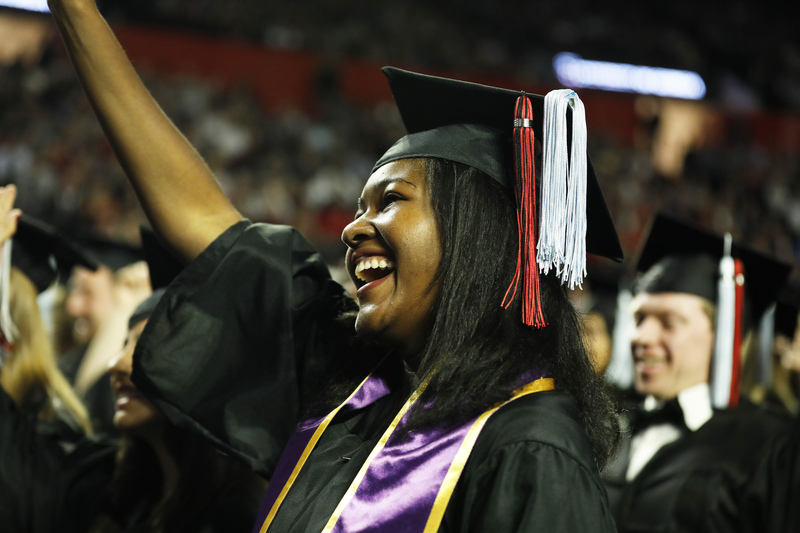 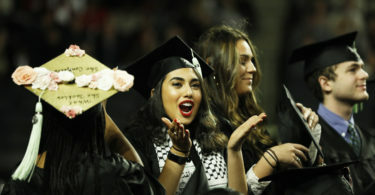 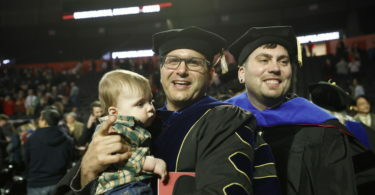 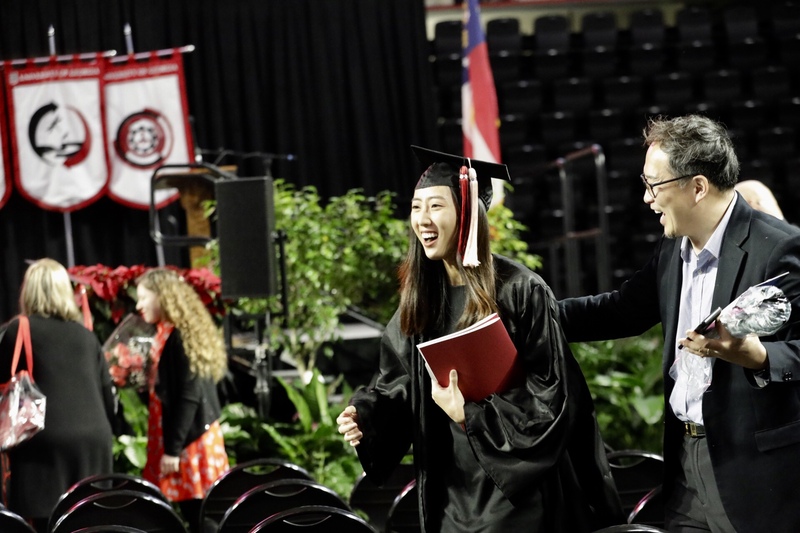 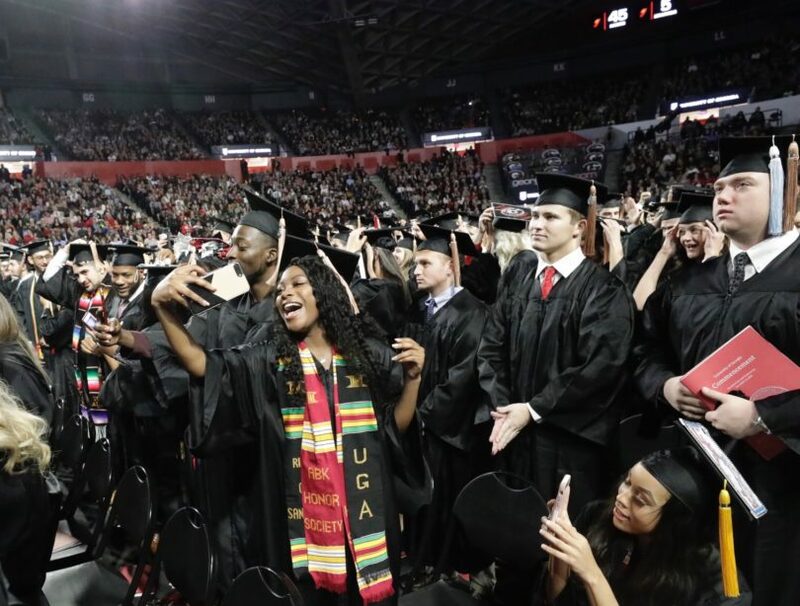 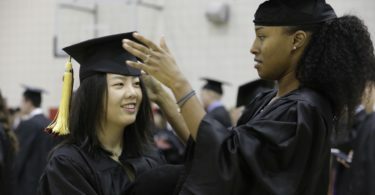 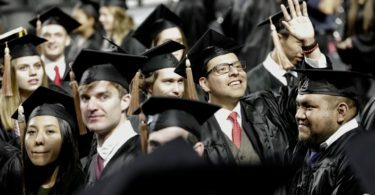 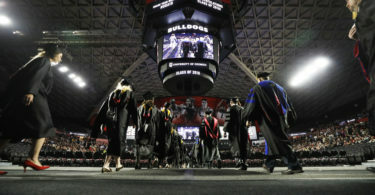 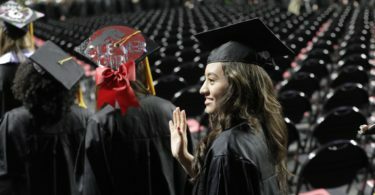 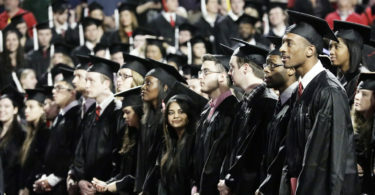 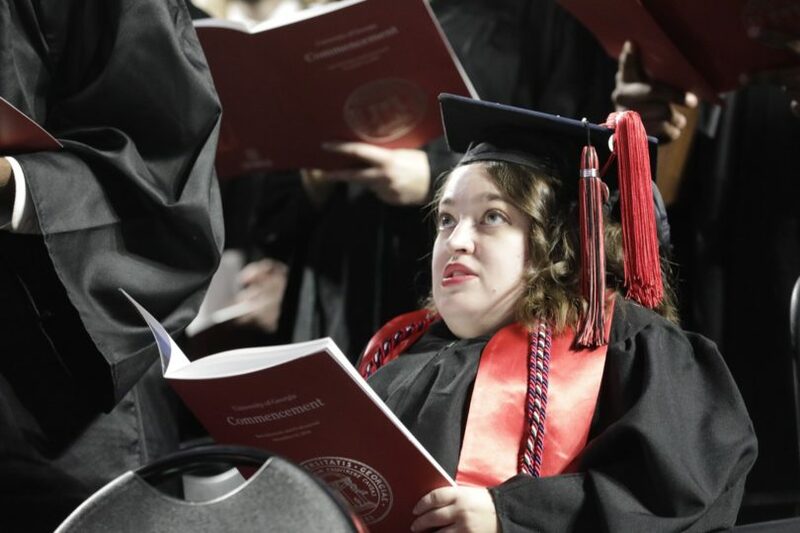 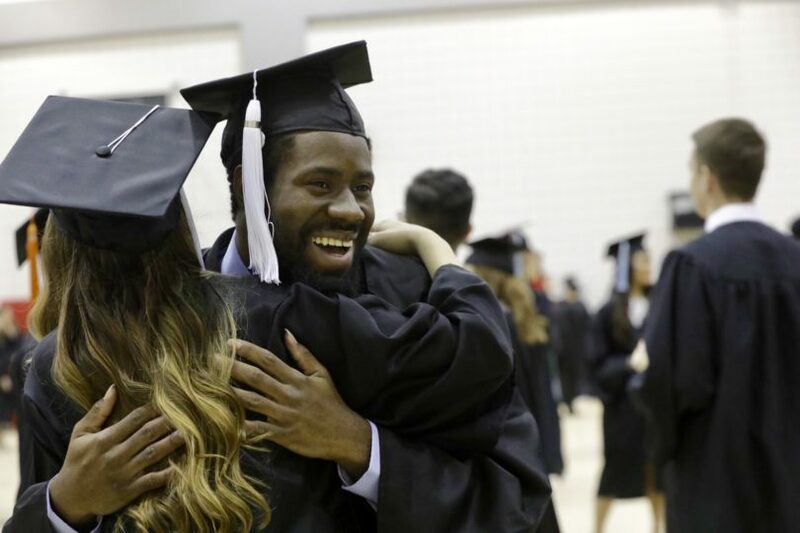 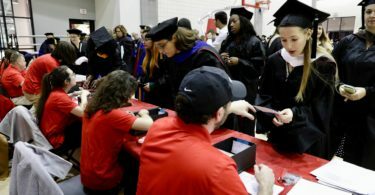 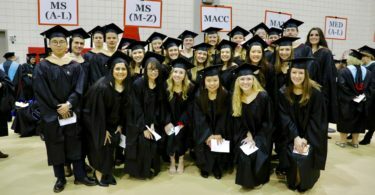 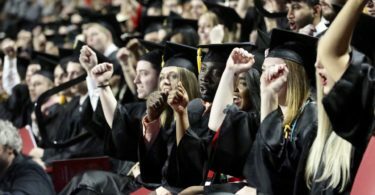 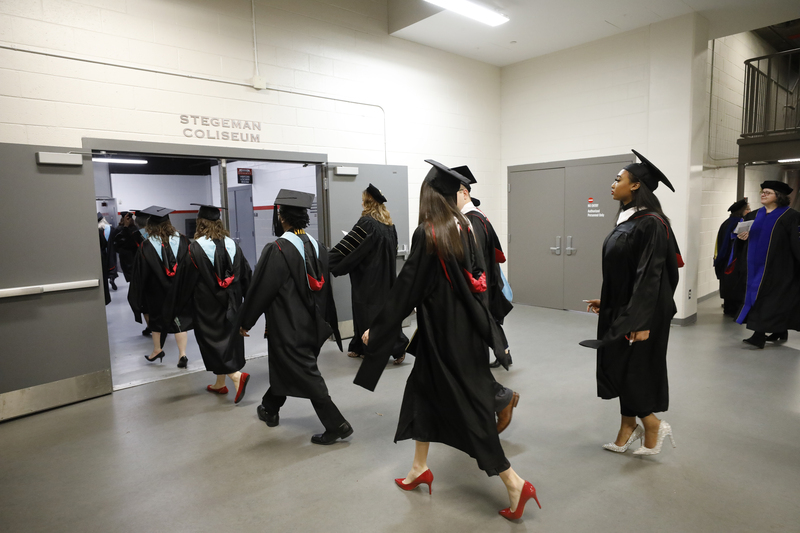 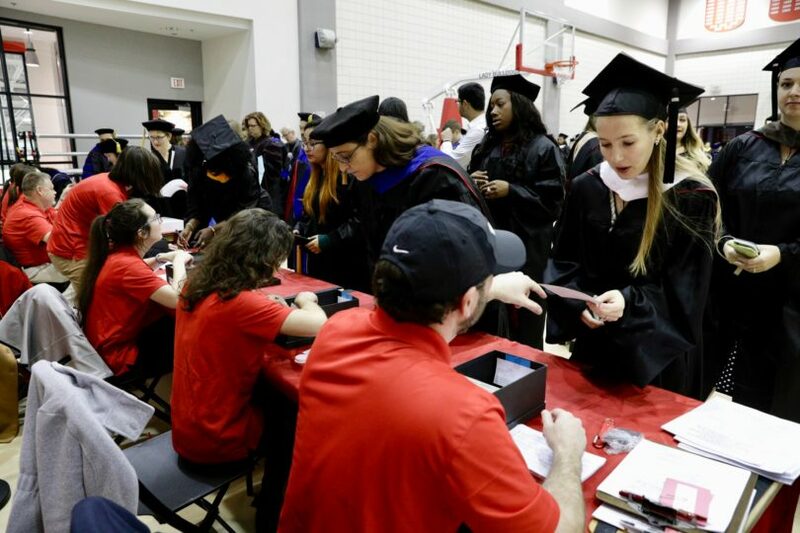 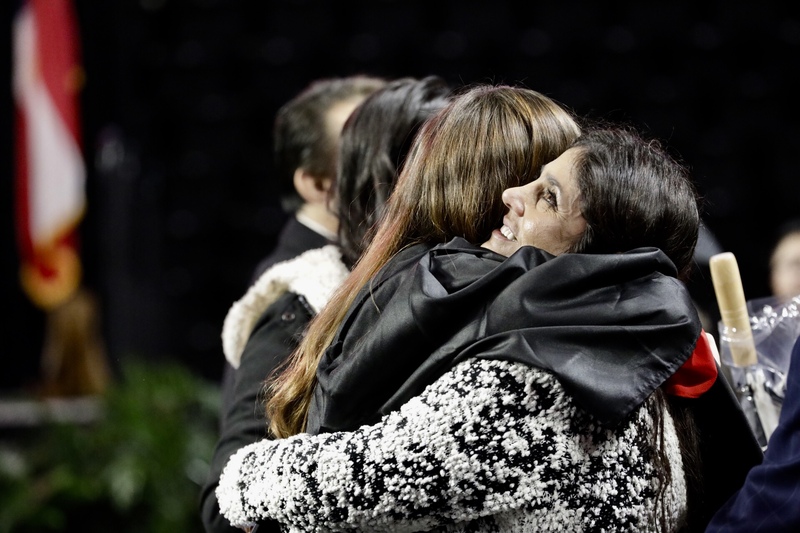 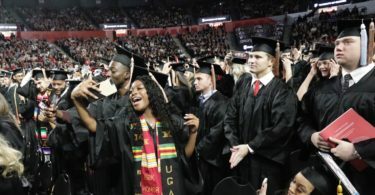 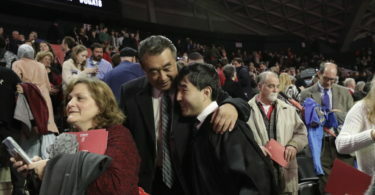 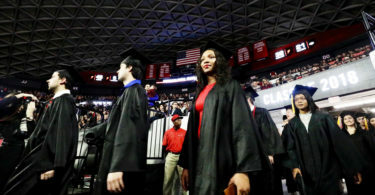 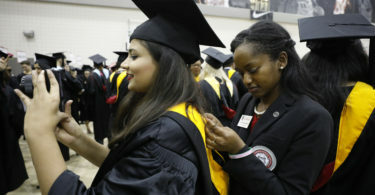 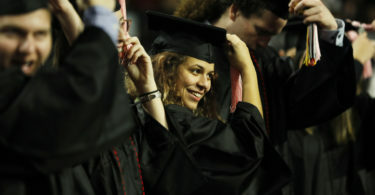 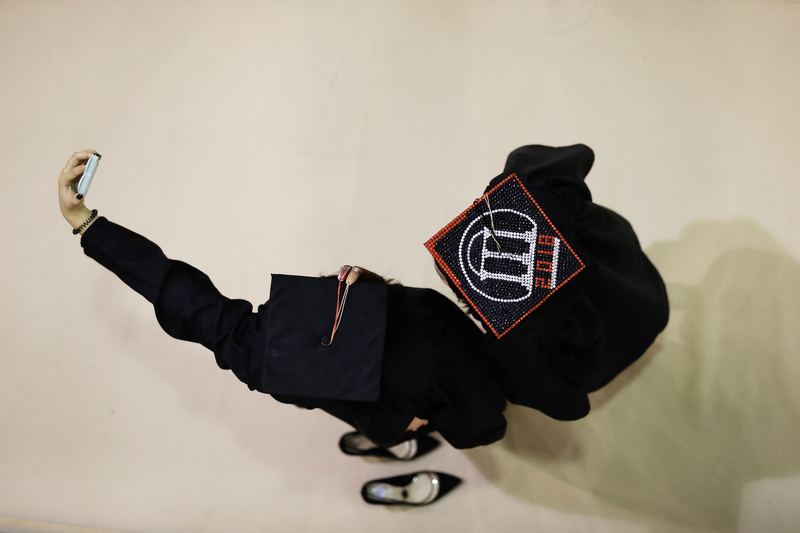 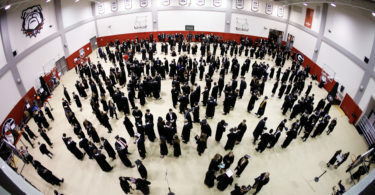 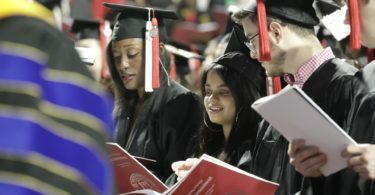 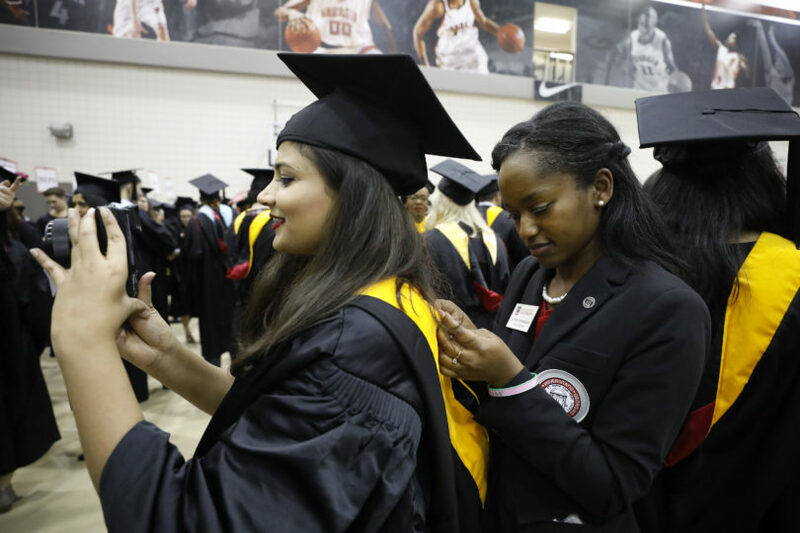 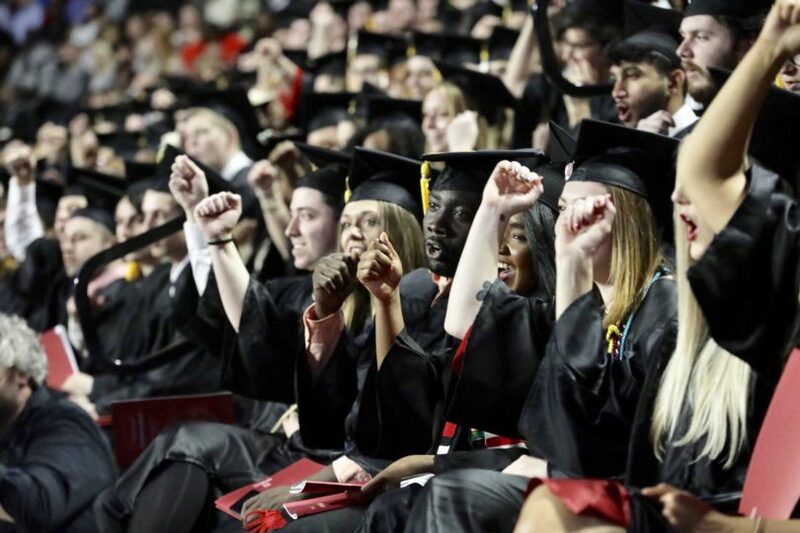 Some 1,575 undergraduates and 1,224 graduate students met requirements to walk in the university’s fall Commencement ceremonies. 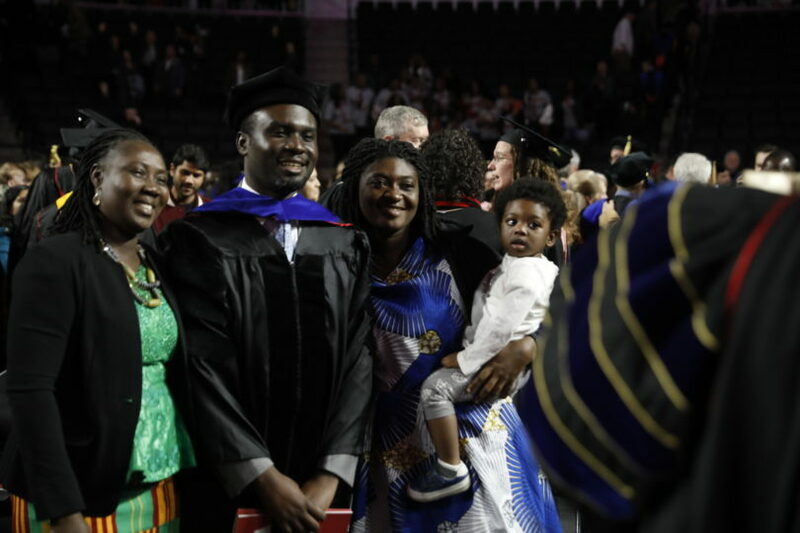 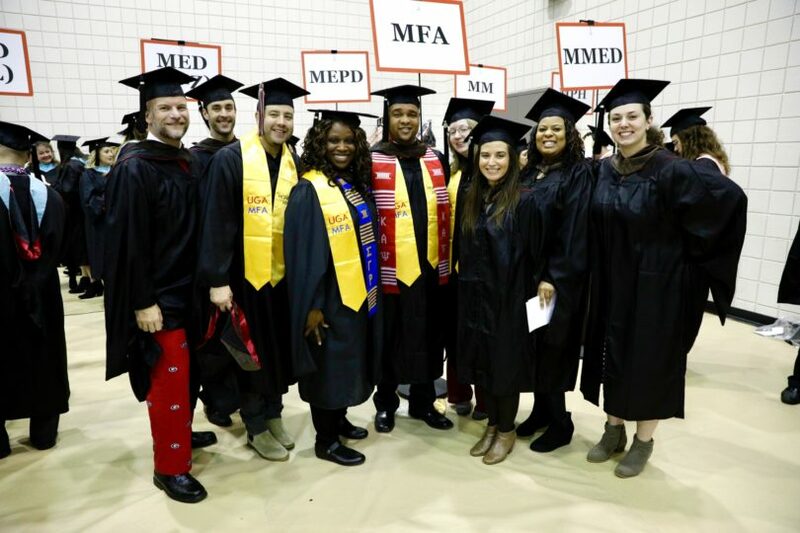 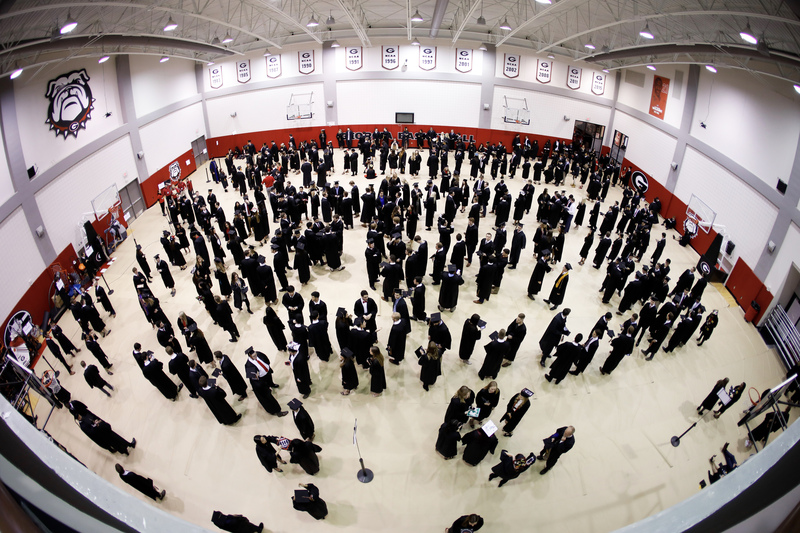 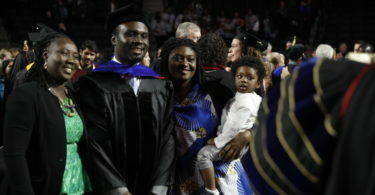 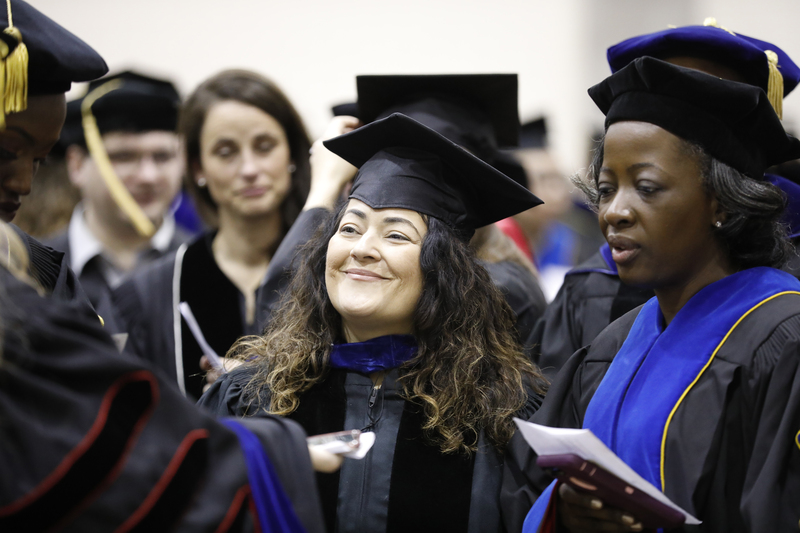 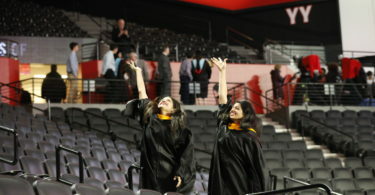 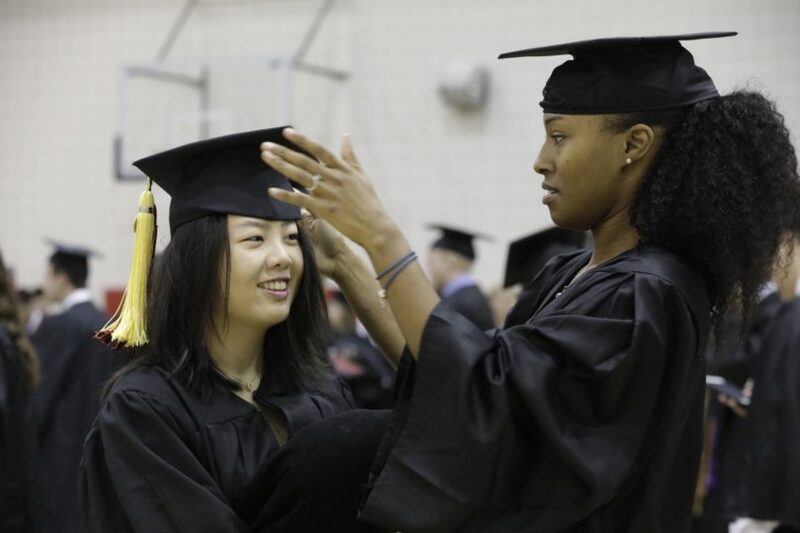 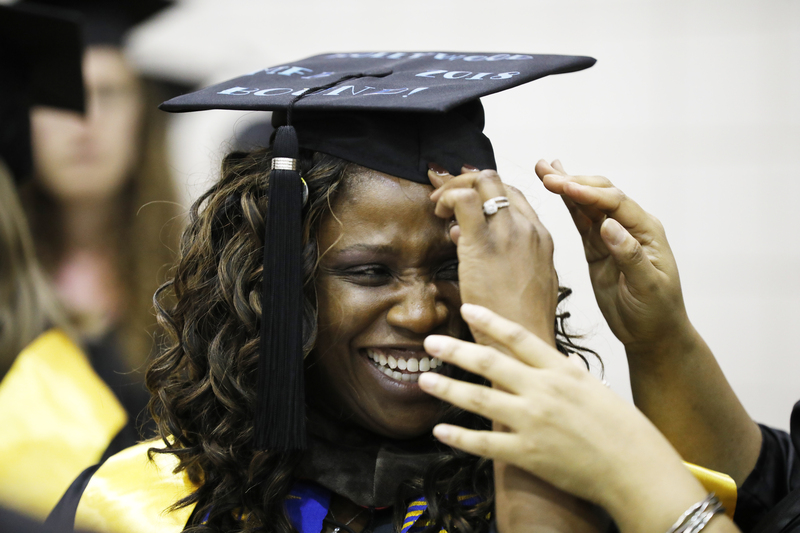 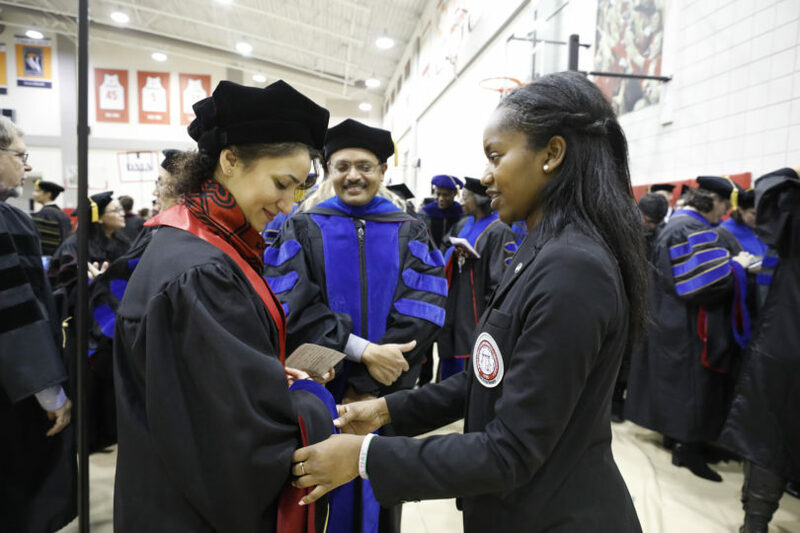 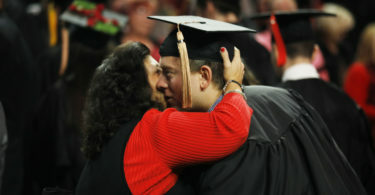 Of the graduate students, 284 received doctoral degrees and 940 received their master’s or specialist degrees. 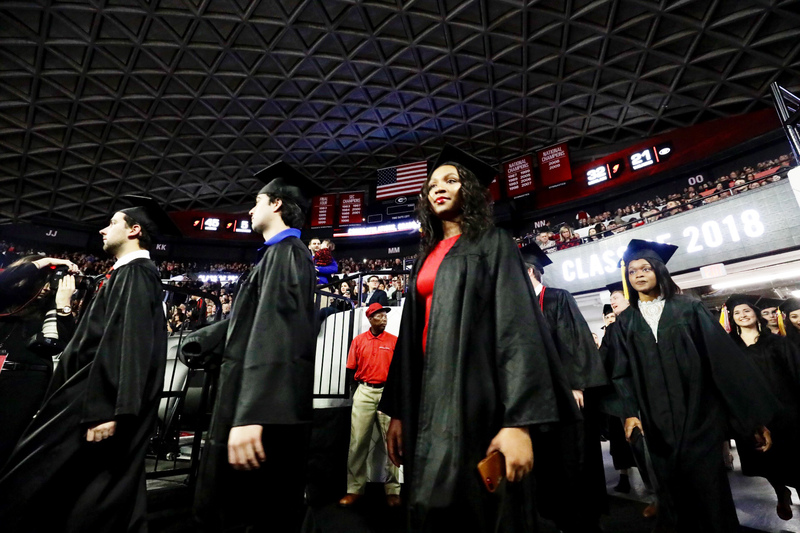 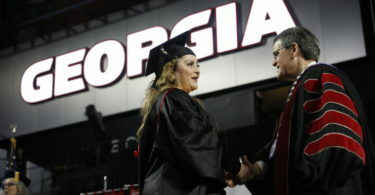 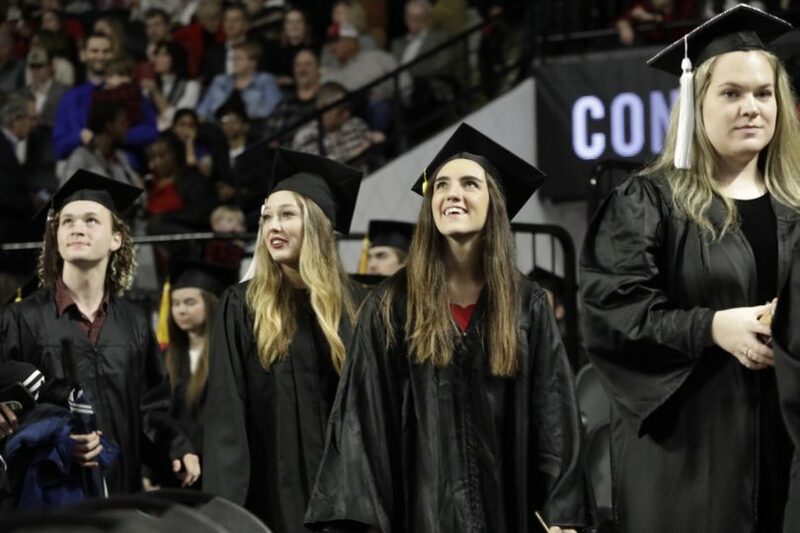 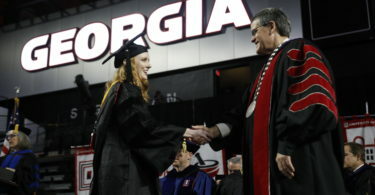 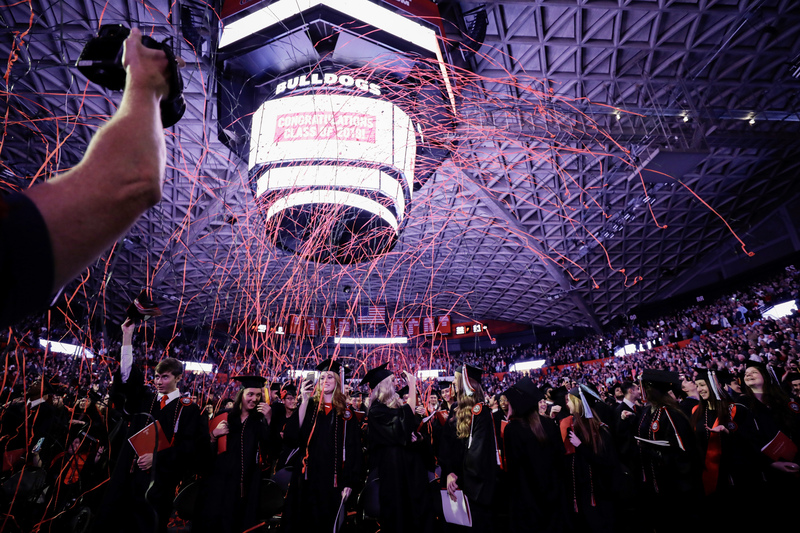 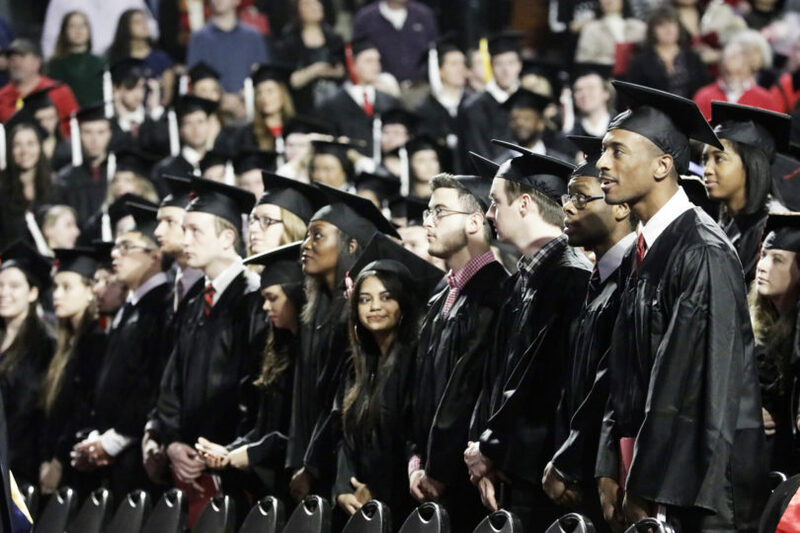 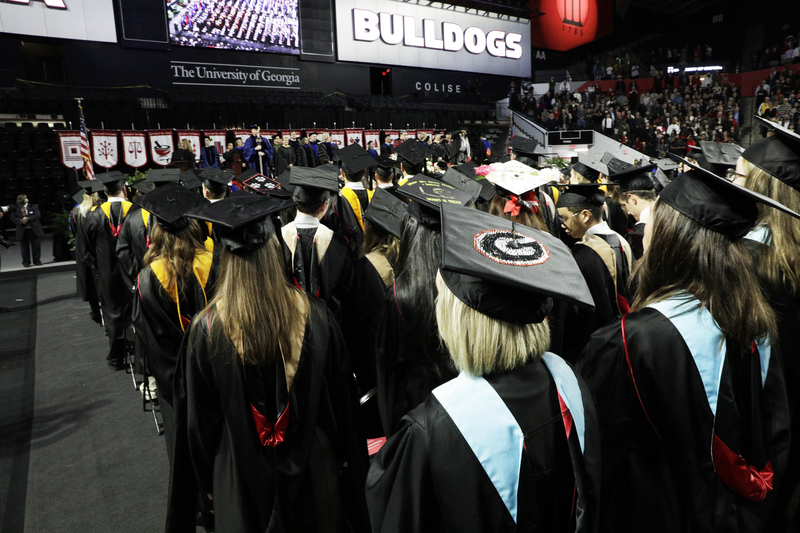 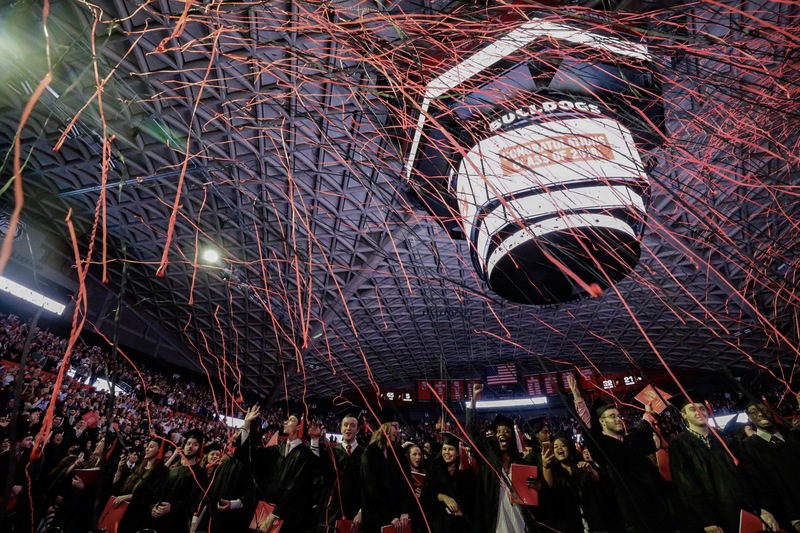 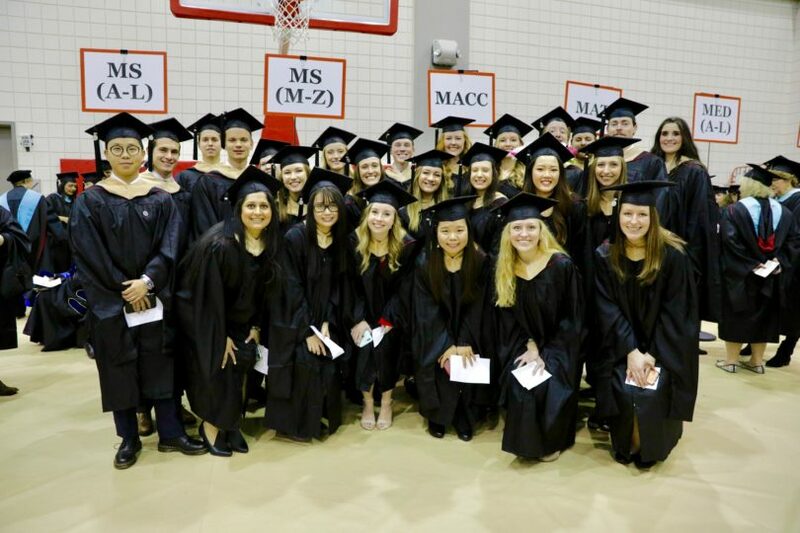 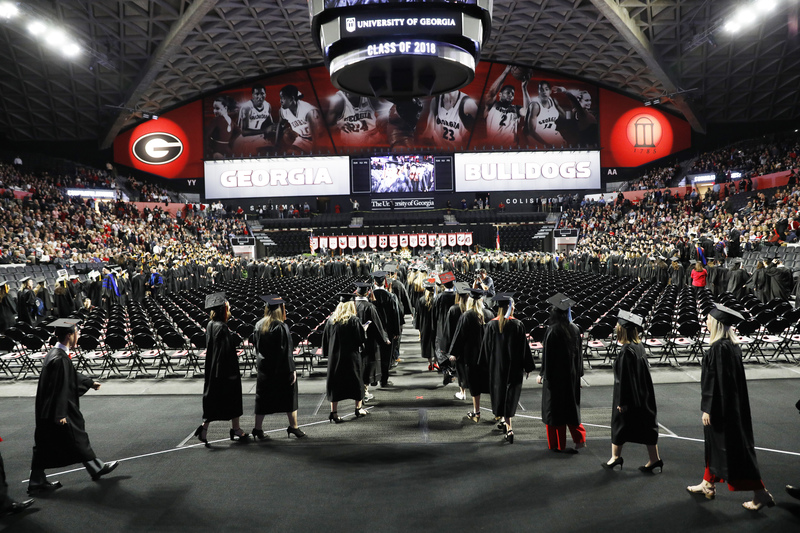 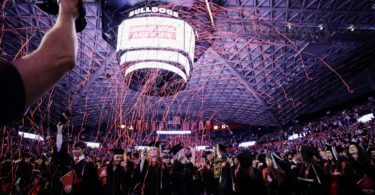 Eleven students were recognized as First Honor Graduates during the undergraduate exercises for maintaining a 4.0 cumulative GPA in all work attempted at UGA as well as all college-level transfer work prior to or following enrollment at the university. 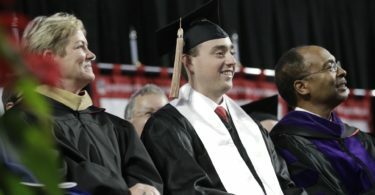 In addition, the university awarded posthumous degrees to Oliver Walker Woodward, a Bachelor of Business Administration in real estate, and David Michael Miklesh, a Ph.D. in marine sciences.